Children’s literature for teaching the alphabet. Teachers can read the alphabet books to teach letters and sounds or add them to a classroom bookshelf! 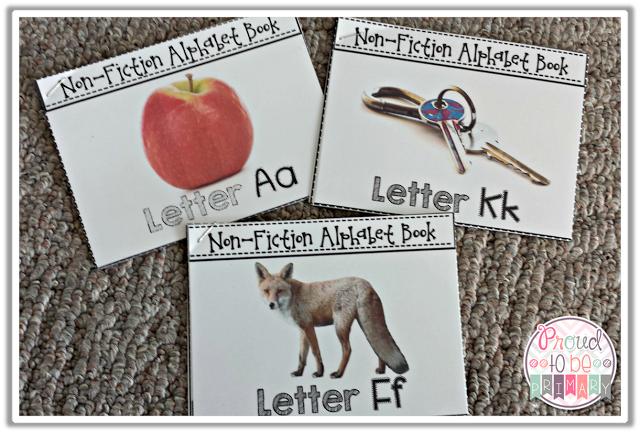 Fun ways to teach letter recognition and practice the alphabet, including letter games, books, crafts, and FREE printable resources to build letter and phonics skills. 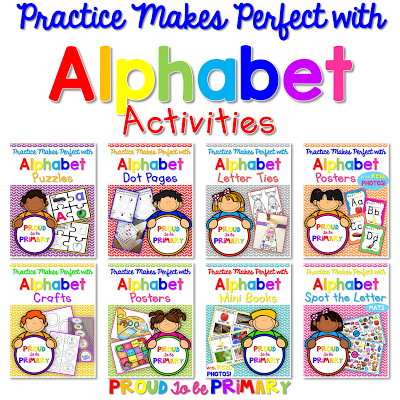 So many resources and ideas for teachers exist to help students learn and practice the alphabet. If you’ve been searching endlessly, look no further! 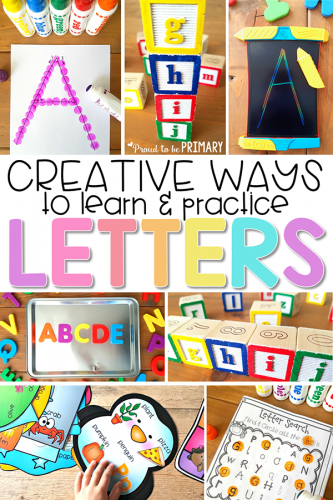 You’ll find in this post all the ideas you’ll need to learn letters and their sounds, including activities that build letter recognition and recall. 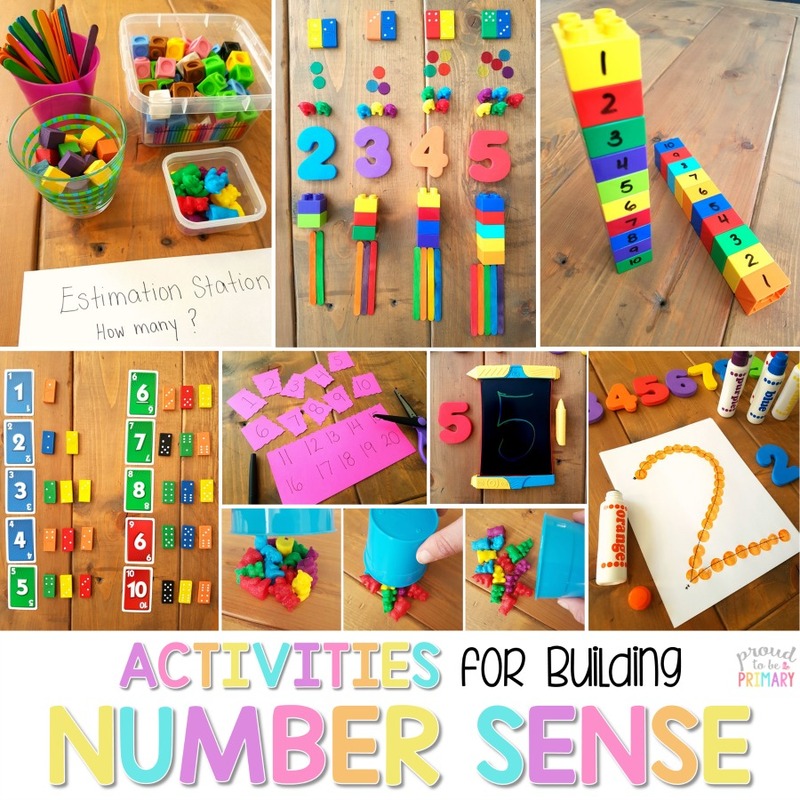 These activities are accessible and can be easily replicated in the classroom or home. 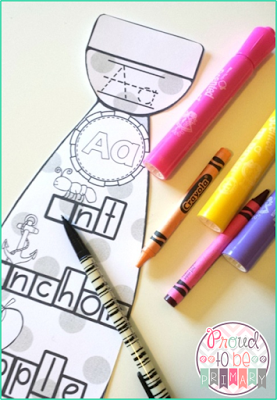 Read on to get your 19-page free letter A activity pack! 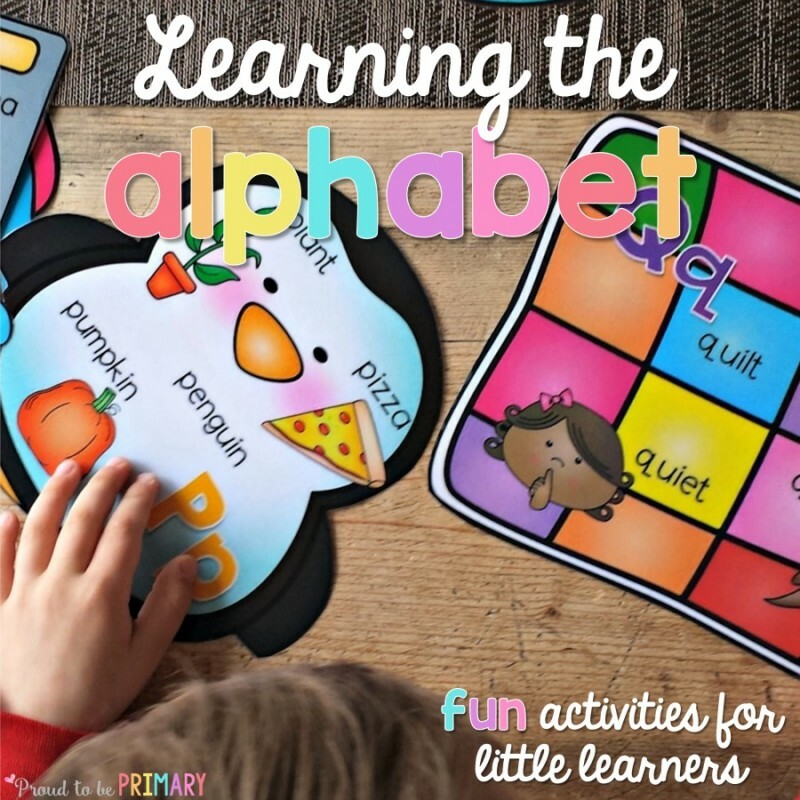 The following creative ways to learn and practice the alphabet are engaging and practical. 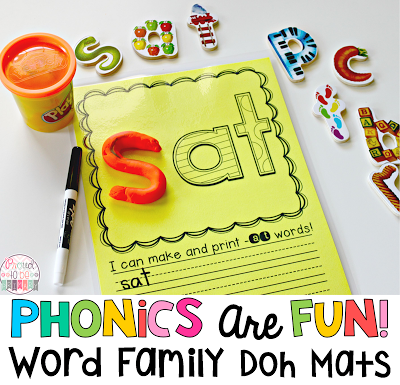 Kids will have fun while learning and practicing their letters in a natural and easy ways. 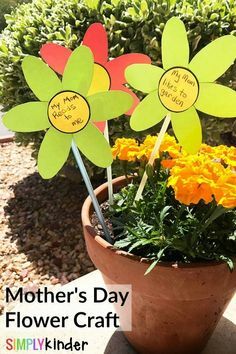 These ideas work in the homeschool setting as well. At the earliest stages of reading instruction, the most important concept to master is alphabet recognition and recall. 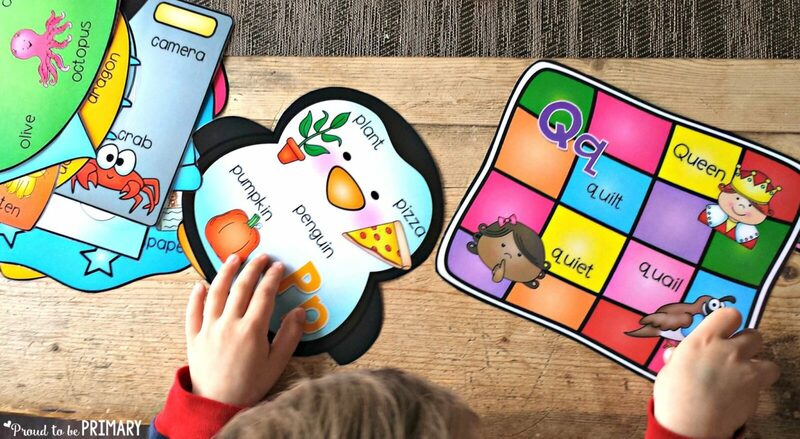 Children who can quickly recognize and recall the letters of the alphabet have an easier time learning their letter sounds. It is a basic concept to master, but one that cannot be overlooked. Letters and their sounds absolutely MUST be memorized in order to prepare them for reading. Here’s how to ensure that they are! 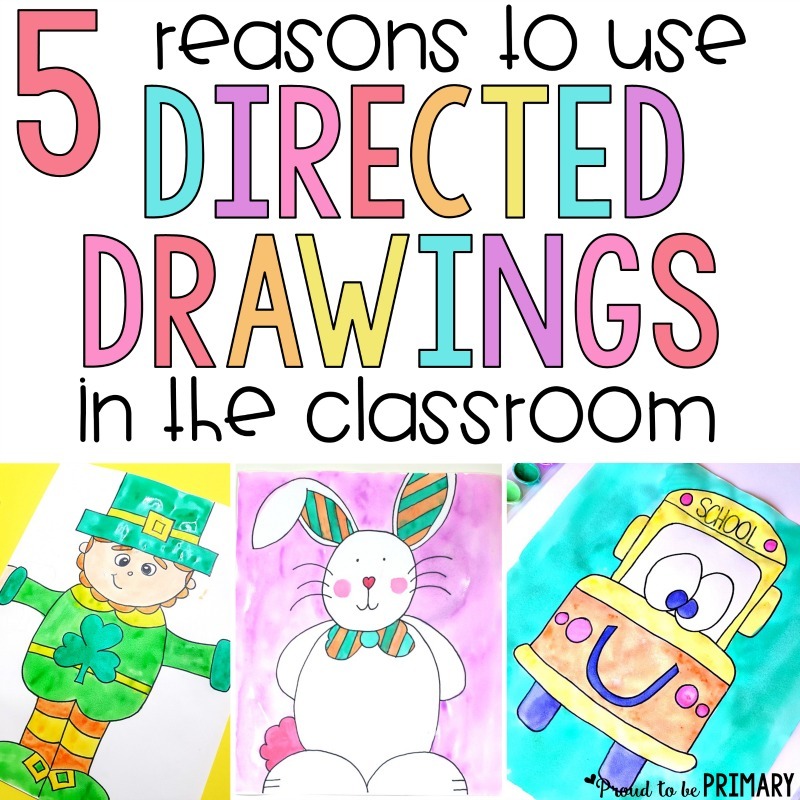 It goes without saying that direct instruction in early literacy is a necessity. However, the manner in which you do this is the key to success. Teach letter names before their sounds. Yes, students need to know the names of the letters before being expected to master their sounds. 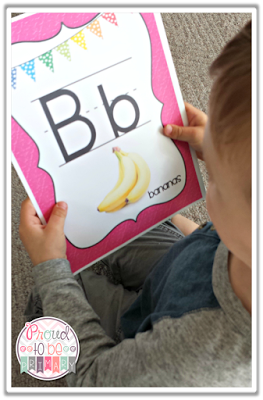 The above being said it’s okay to practice recognition of letters and their sounds together within a single lesson or learning activity! However, you should also be sure to determine that each of your students knows each of the letters by name, before assuming that the child is ready to memorize their sounds or proceed further through the stages of reading development. A quick letter recognition assessment is an easy way to find out. Practice locating letters in different contexts. Get kids to circle letters they find in your morning messages. 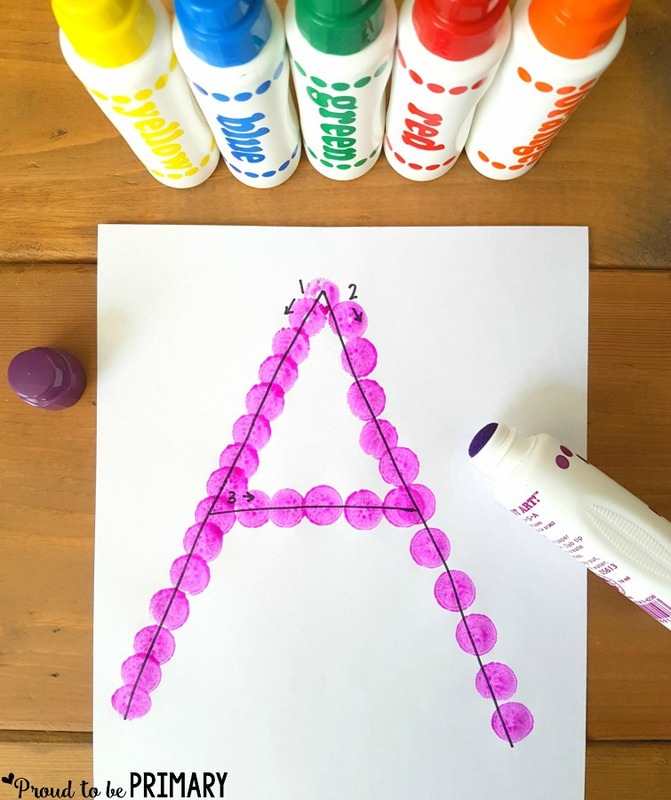 Have them find and stamp letters with dot markers. Once the letter names are mastered, then you can move on to teaching each letters’ sound in one of the following ways below. 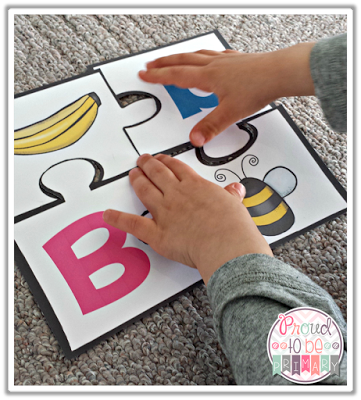 The spot the letter mats are a locating activity and one of our favorite and fun ways to teach letter recognition. Students need to be exposed to letters in print excessively. Your classroom needs to provide a literacy-rich environment with letters (and words) everywhere. Label everything a child comes into contact with during the day. From the classroom door to their desks, to their cubbies, and even small things such as their crayon boxes. Items that are labeled will help children recognize and practice their letters all day long. Label items with their own name on them as well, those will be the first letters they will find intrinsic interest in and will most likely learn first. Have books in many locations for kids to explore and view. Place shelves of books throughout your room, with the book covers facing outward, by doing so, the colors and titles will invite children to look through them. 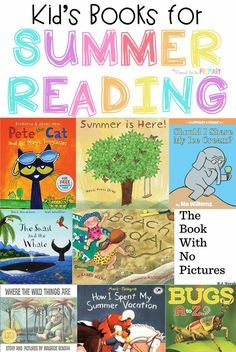 Give them opportunities throughout the day for free reading and exploring text within books. 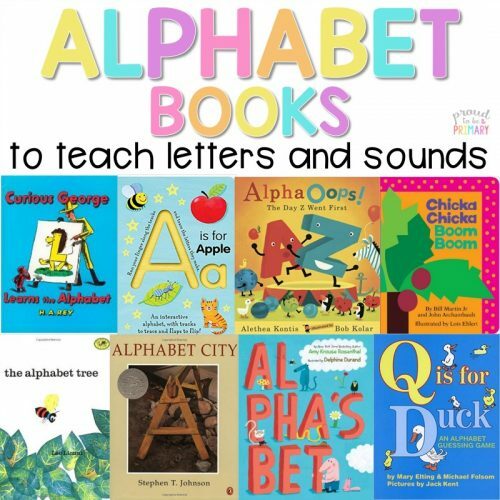 Check out the list of helpful alphabet books further on. Point out letters daily as they are used. 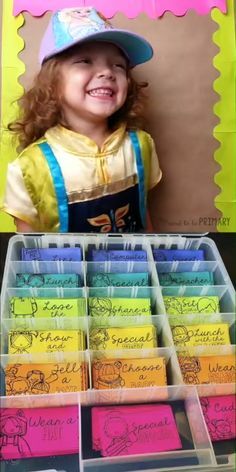 Show them simple things such as how the word “Pull” on the door handle to go outside to the playground starts with the letter P. When you open up a book to read, point out the letters in the title on the front, and stop and show them letters within the pages. Help them understand that letters work together to make sounds that turn into words. 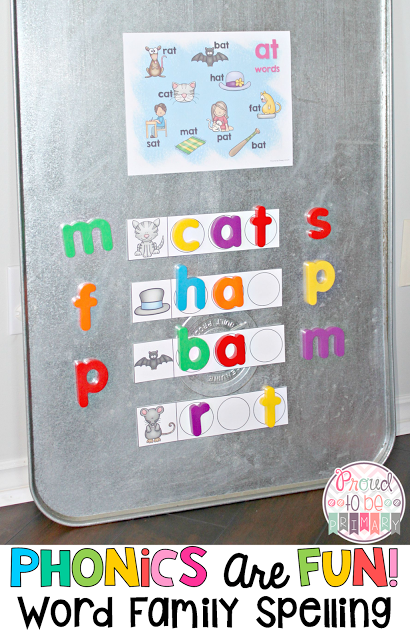 Have a classroom center set-up with alphabet magnet tiles to explore. Encourage kids to order letters, draw pictures and match items that have the same sound, or simply recognize letters one at a time. 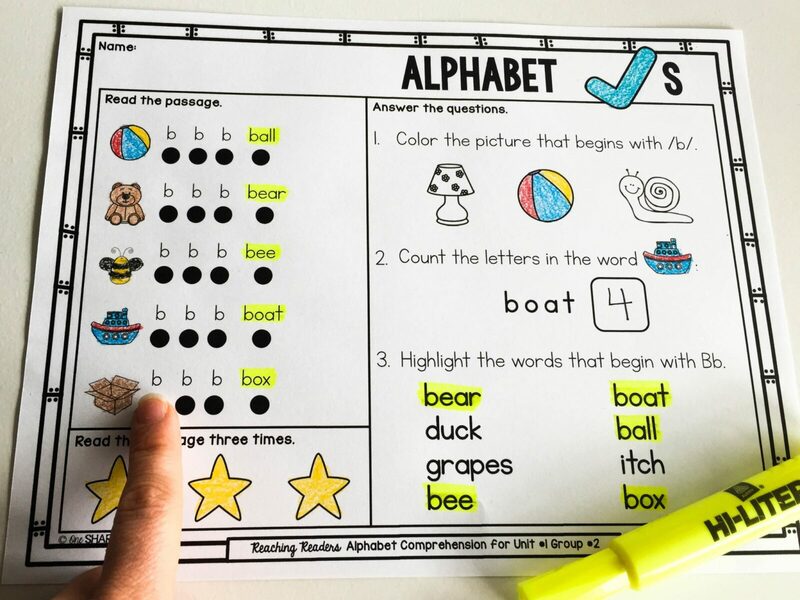 Give your students plenty of opportunities to practice the letters of the alphabet on their own or with your assistance. The ideas and resources for practice in the section below will help you. This can be done in activities as a whole class, in small groups, or individually. Practice should be done at least daily, if not more often. Repetitive practice will reinforce the letter names and their sounds, while making the memorization process fast and easy. 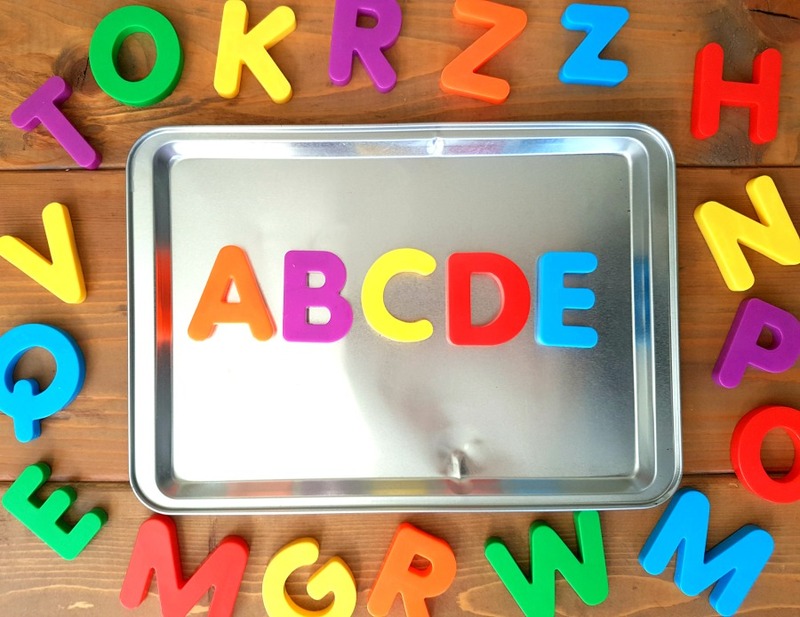 The alphabet absolutely MUST be memorized as this is a most important early step. Practice makes perfect, so provide them ample opportunities! Find times in your routine every day for explicit instruction and practice of letters and their sounds. Here are some basic ideas for classroom activities. A “Letter of the Day” is a fun way to practice the alphabet with a whole group. 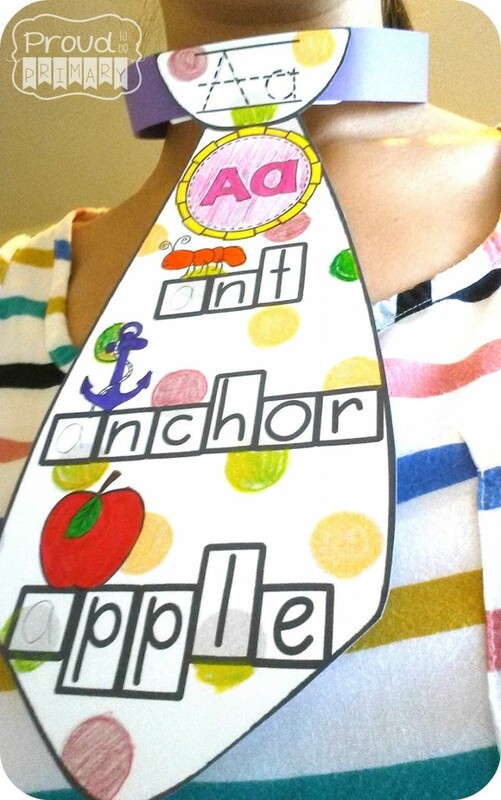 Read a book about things that start with that letter and create an anchor chart with student made pictures matching words for that particular letter. The letter posters below are helpful tools. 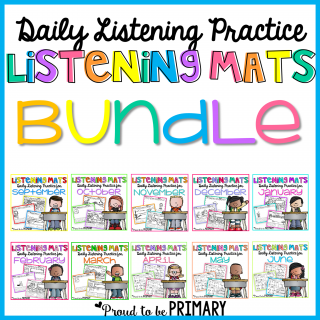 Repetitive practice of each letter throughout the year will provide the opportunity for each child within your classroom to master his/her memorization of letter names and sounds. Being able to write letters well is important. Each day, have children practice the correct handwriting of letters. 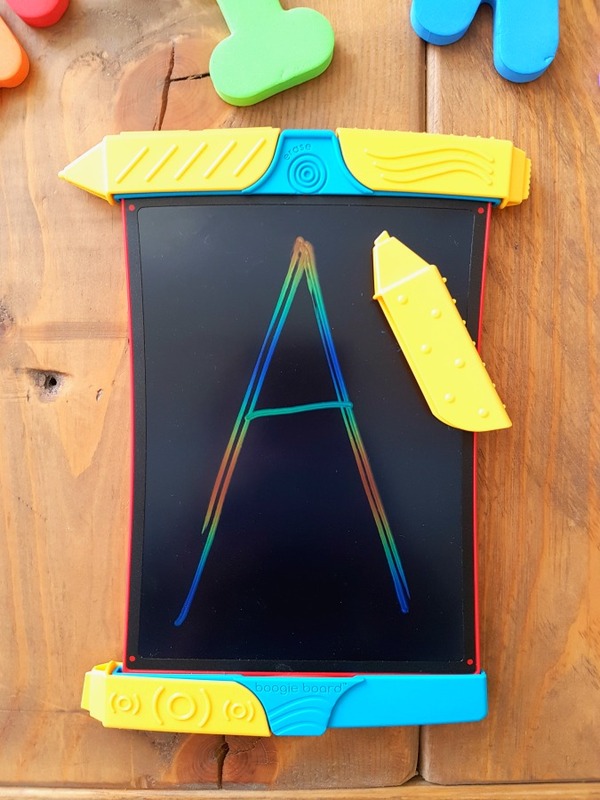 Before even beginning to write the letters with a pencil, have the children trace large letters with their finger. 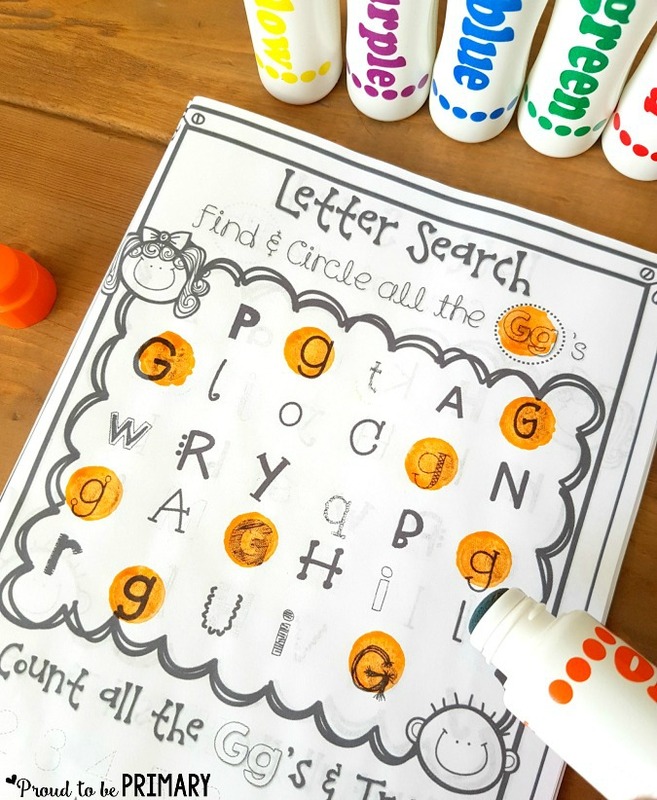 Practice the correct formation of letters using do-a-dot markers to form letters by using these alphabet dot pages. 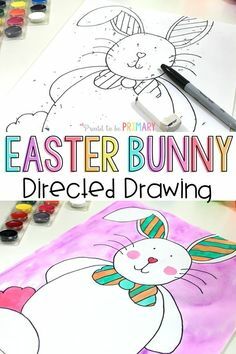 When beginning tracing exercises in pencil, crayon, or marker, I recommend starting with unlined paper first, then using letter tracing pages, and then freehand on lined paper. Using a Boogie Board is a fun way to practice and have fun. Kids love games. 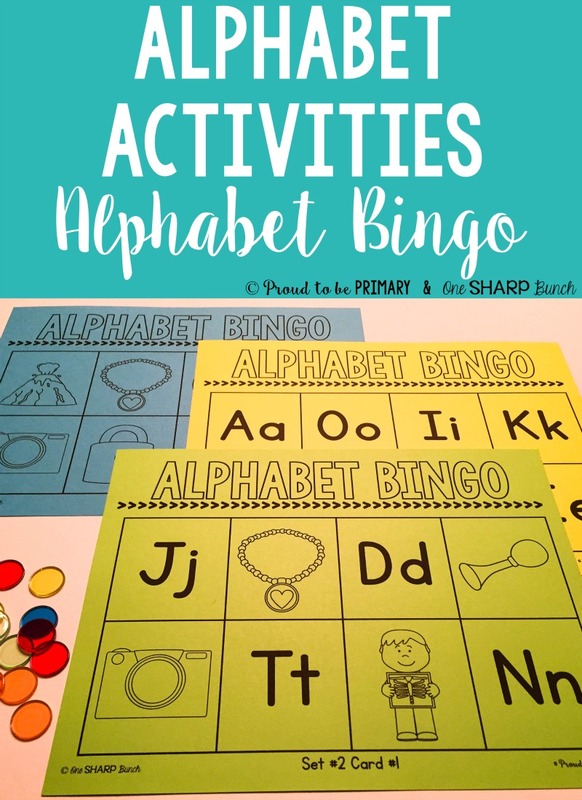 What better way to practice the alphabet than with these activities? Hold up signs of different objects, and ask children what beginning, medial, or ending sound they hear. Write the alphabet on the whiteboard, in large letters, and give children a flyswatter. Have them run and smack a letter on the whiteboard when you say it aloud. During guided reading, play a letter recognition game. In small groups, you can easily assess knowledge and provide practice in a fun way. Place a large letter on the end of a popsicle stick, and pass one out to each child in the classroom. Ask them to stand when you say a word that starts with their letter or to find a partner with the same letter or to say a word out loud that starts with that letter’s sound, etc. 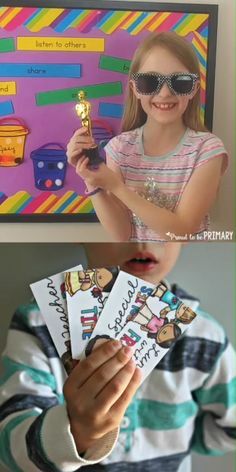 Give your children a notecard with their name spelled clearly on it. Say, “Whose name has a __ in it?” and all children with that letter in their name have to do something silly, like stand on one foot or touch their tongue to their nose, etc. Do letter scavenger hunts. Kids look for different objects that start with a certain letter. 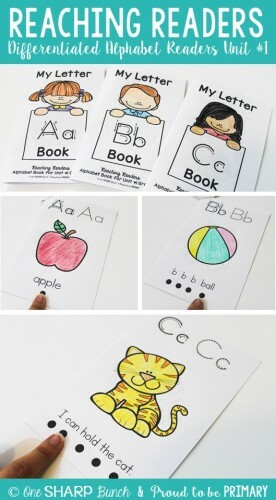 For each item they find, they draw a picture, record a word, or add it to a class chart. 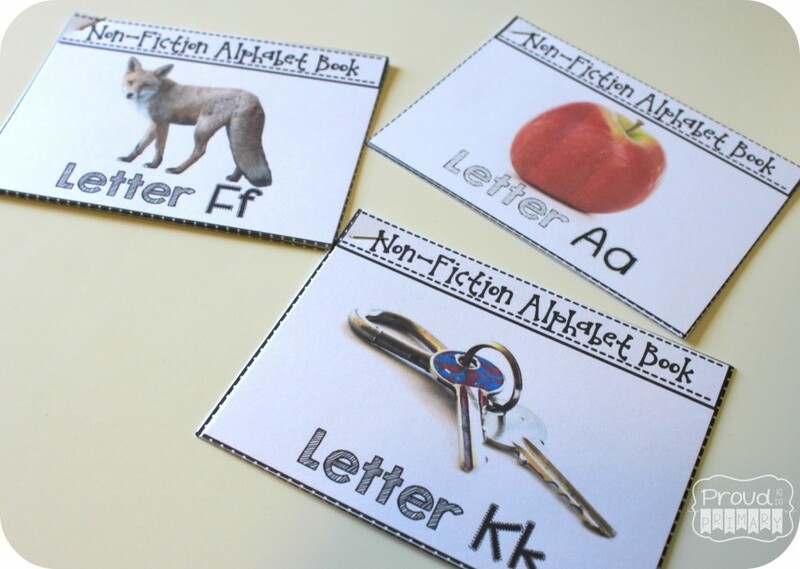 The FREE alphabet read & write the room booklet is a great way to keep ideas in one place. Get your FREE copy HERE! Each day during your morning meeting, sing a song that is repetitive and reinforces letters sounds. Add actions and emphasize mouth movement for each sound. 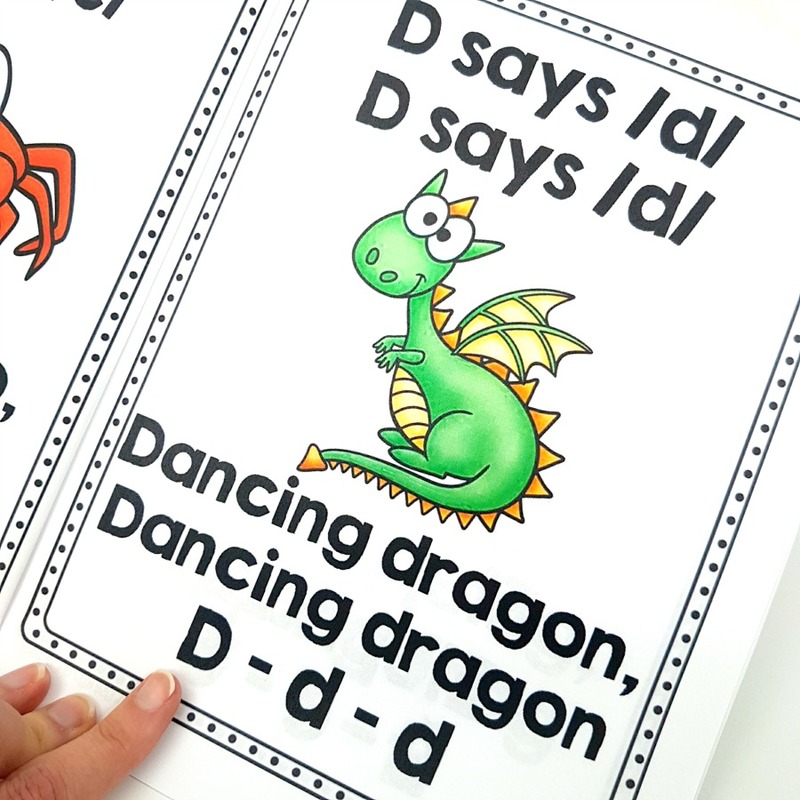 The animal alphabet jive is a fun song to make into a book for daily review. You can reinforce daily memorization by singing the traditional alphabet song (or any other newer version) daily while pointing to the letters or holding up flashcards. 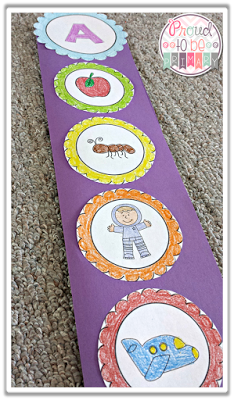 Kids can take part in creating their own letter books to reread and take home to practice. 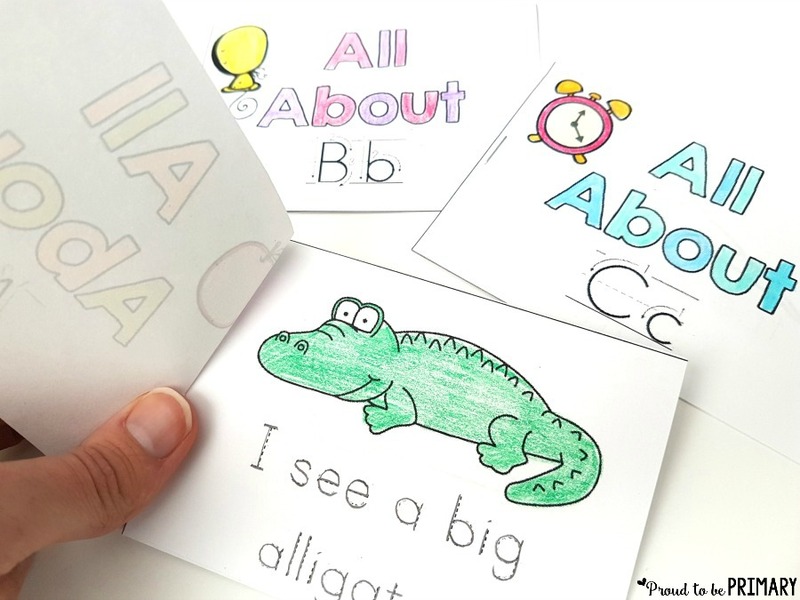 They color and trace text in these alphabet mini books while they practice their sound to picture knowledge with these guided reading books that are great for small group reading. For those kinesthetic learners in your classroom, pull out the hands-on activities! Anything you can find that provides tactile stimulation is always fun. 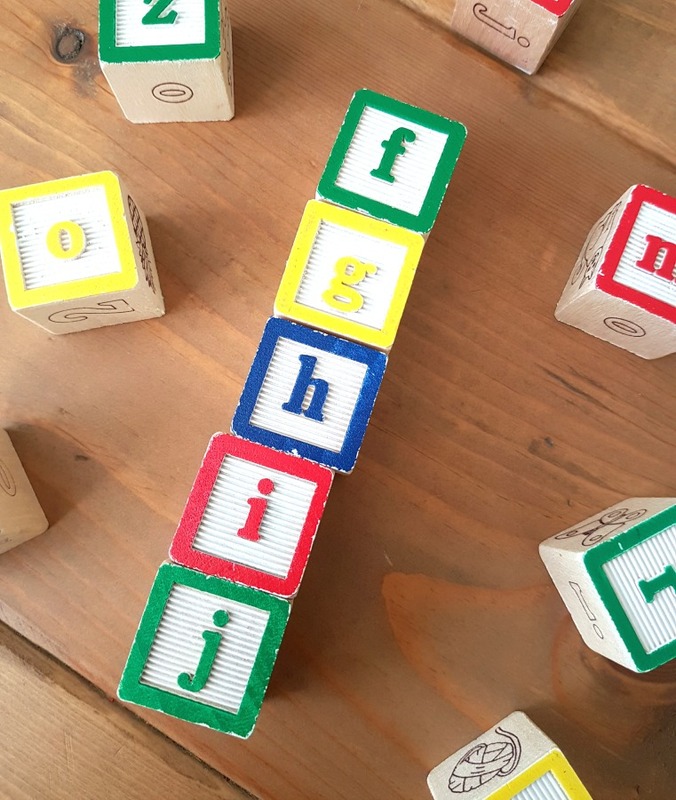 Try using wooden letter blocks that have raised lettering. 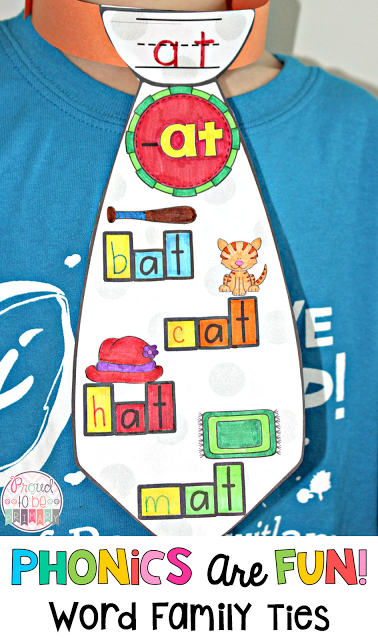 Cut felt letter shapes for kids to place on a felt board. 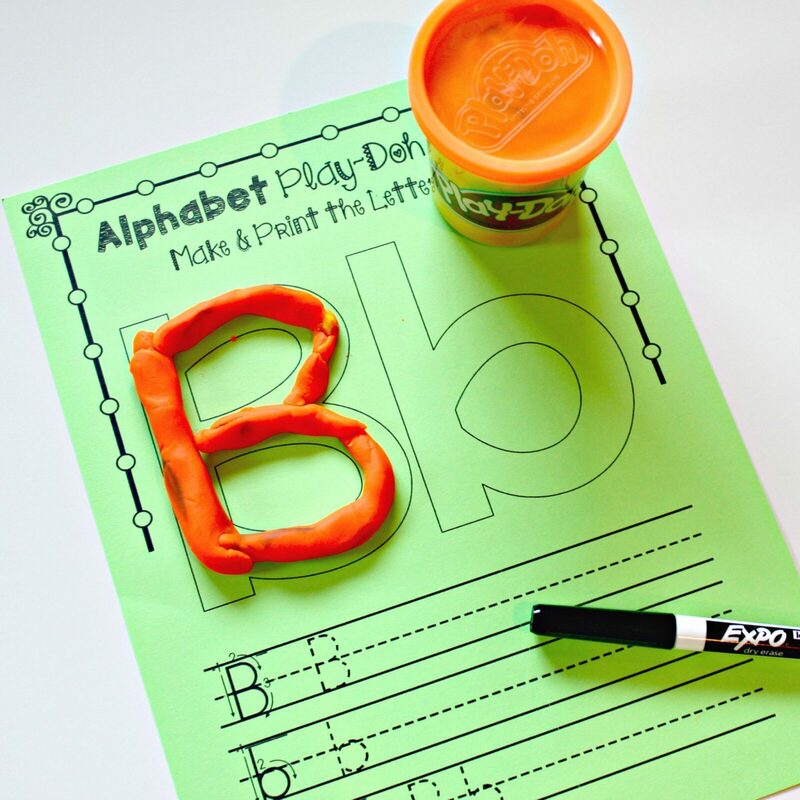 Use alphabet cookie cutters and Play-doh, or playdough alphabet mats as a fun activity for the owners of busy little hands to form the letters as they learn. If your class is getting wiggly, have them stand up and create “body shape” letters. If you have a camera, take a picture of each child, and display the pictures on your classroom website or create a class alphabet book. 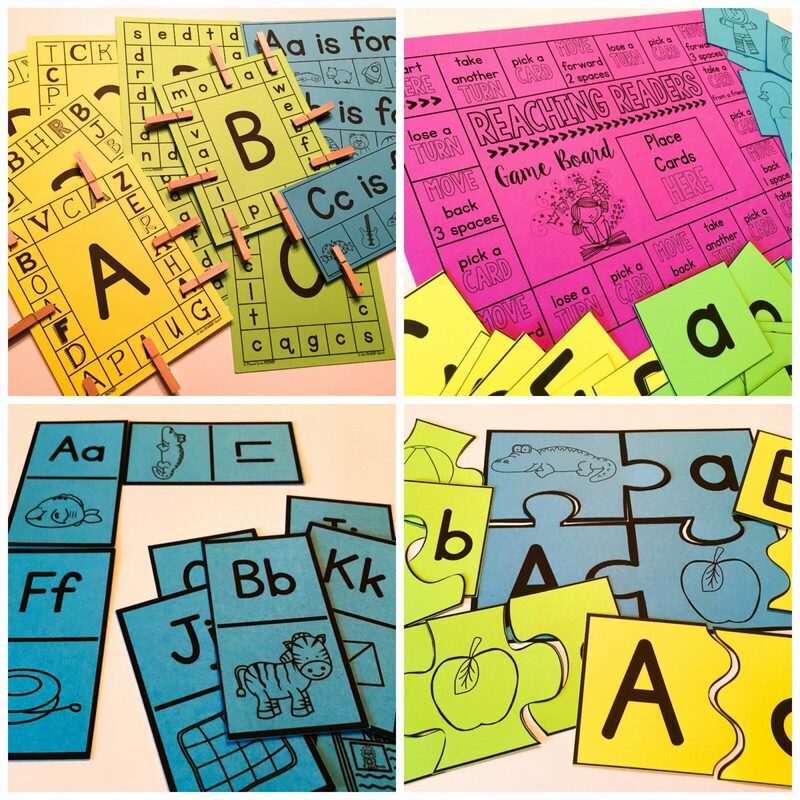 Cut and paste activities for letter practice are also beneficial for kinesthetic learners. 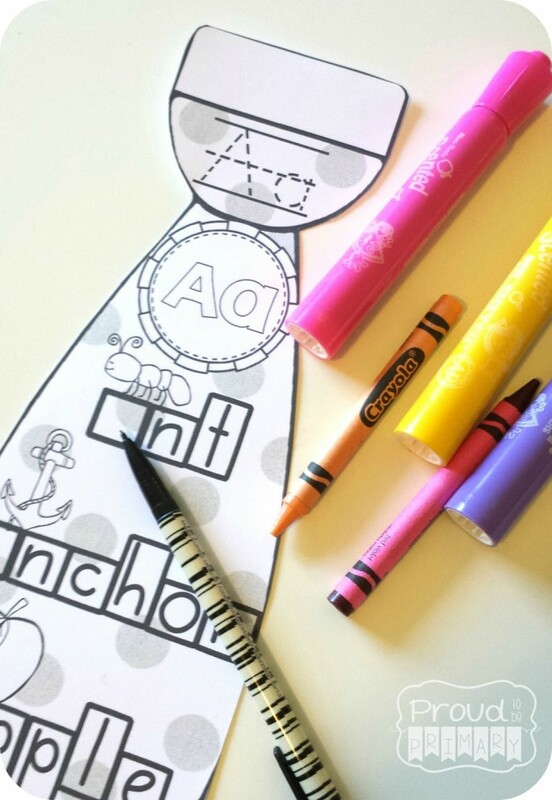 The alphabet strip crafts get little hands cutting and gluing. 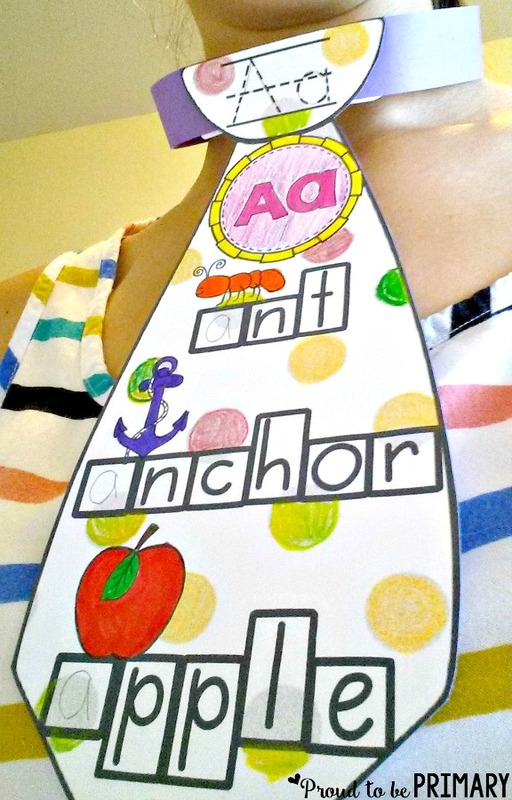 Kids love creating things they can wear like these alphabet letter ties. 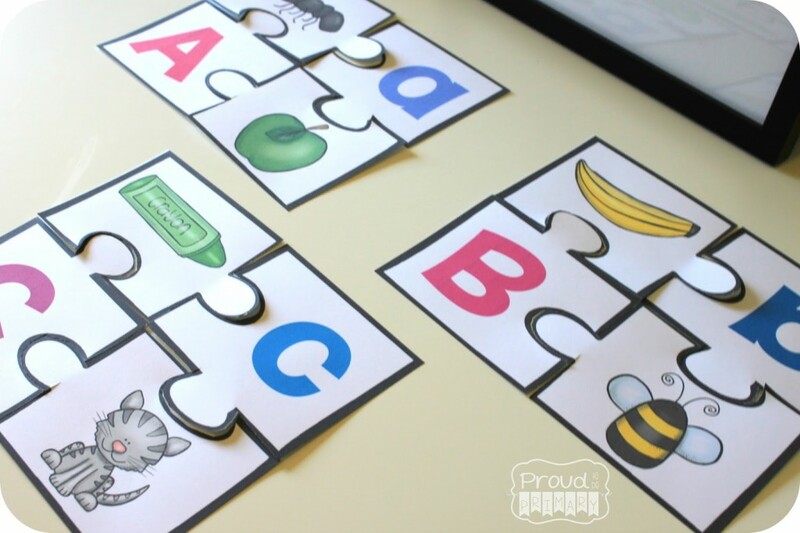 Looking for more fun ways to teach letter recognition? 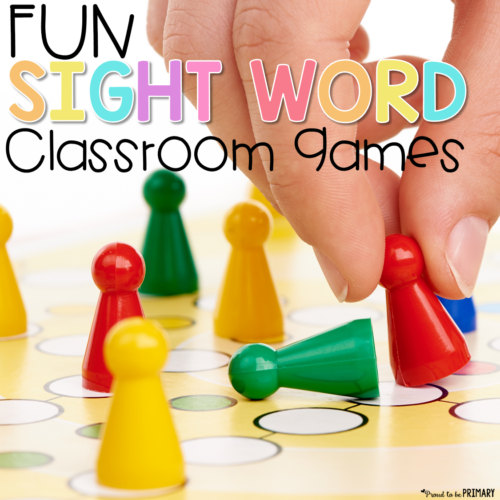 Try these Fresh and Fun Ways to Teach and Learn Sight Words. The activities seen in this post are available in the following resource. 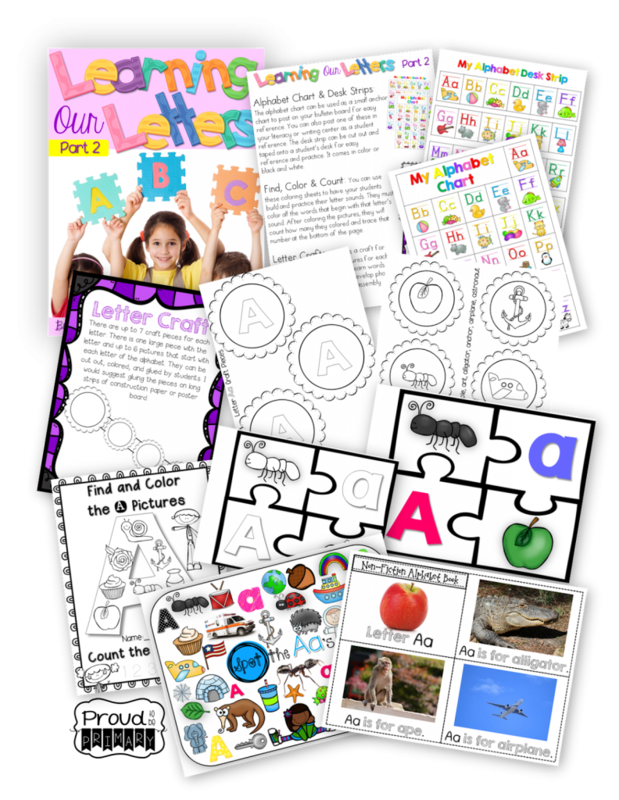 Grab the 19-page FREE letter A activities pack by clicking the image below. I hope that these basic ideas for teaching letter recognition and recall are helpful for you as you seek to find hands-on and easy-to-implement resources! Let me know if you have other creative ways to learn and practice th alphabet in your classroom/homeschool in the comments below. I hope you enjoyed this post! 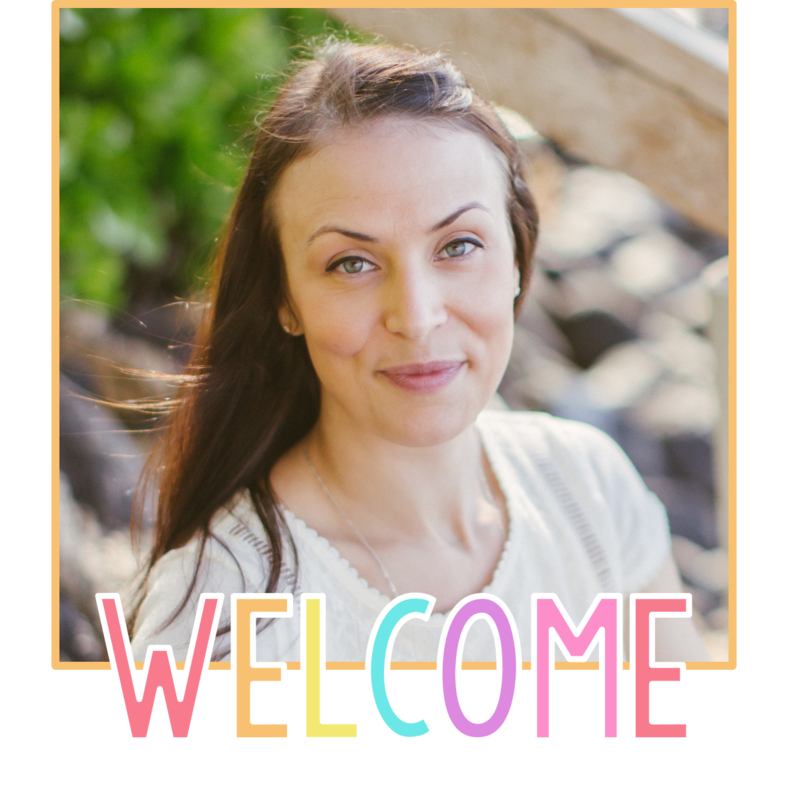 If you would like more tips and ideas from me, be sure to follow me on Teachers Pay Teachers, Instagram, Pinterest, and Facebook to stay connected with the latest news and freebies! 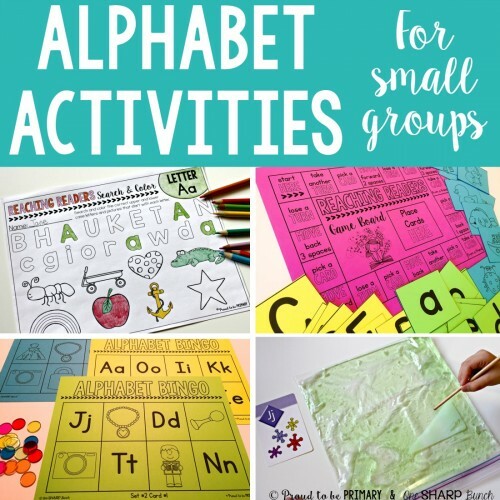 Alphabet activities for small groups guided reading instruction or individual practice, including alphabet bingo, board game, flash cards, and songs. Today One Sharp Bunch and I are teaming up again for our monthly Teacher Talk segment. 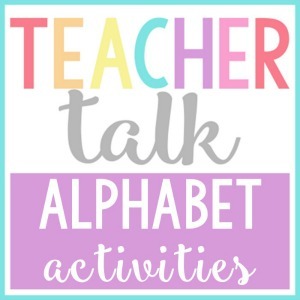 Our Teacher Talk topic this month is alphabet activities for small groups. 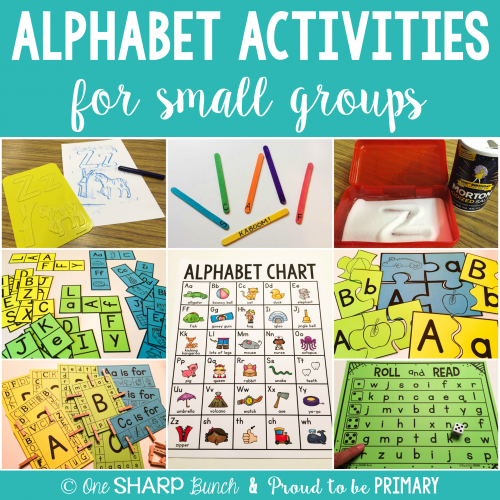 In this post, I will share a few different alphabet activities that you can use for your small group instruction. 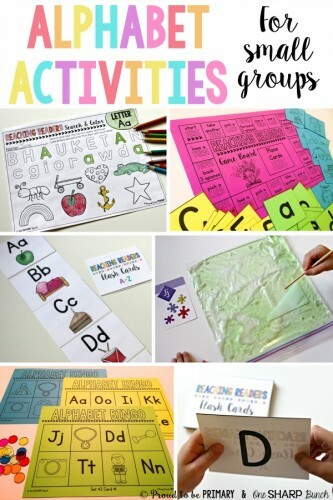 These activities would work well during your literacy centers or for individual practice at school or at home. The first group of printable activities I will share are differentiated. This means that each activity has 3 or 4 levels of instruction. They are for children learning to identify lower and upper case letters, letter sound, and matching letters to pictures starting with different sounds. 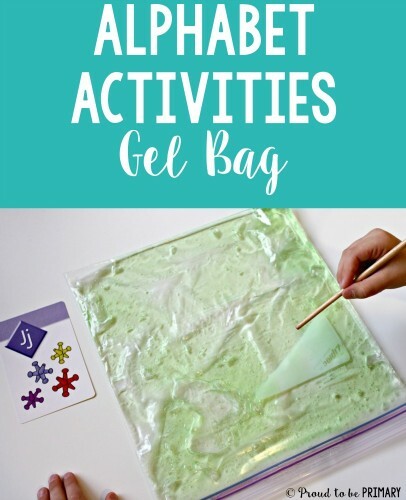 I am also sharing my favourite YouTube alphabet videos, a DIY gel bag, my Pinterest board full of fab alphabet activities. The activities are all hands-on, easy to implement and teach, and provide a lot of FUN, engagement! 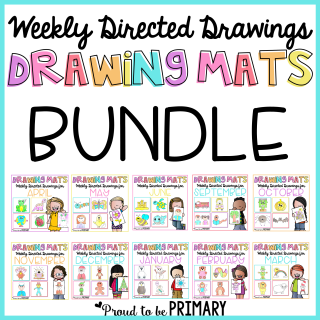 Read on to see how you can grab a FREE bundle of activities to try!! Kids love board games! What a fun way to practice the alphabet!! Children will practice identifying upper and lower case letters and pictures to move spaces along the game board. 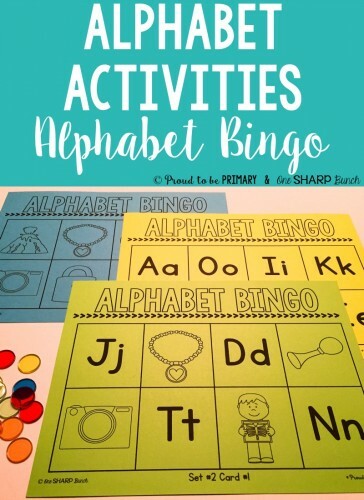 Alphabet Bingo is a game all children love and know how to play. Play as a whole group or in small groups and provide each player with a bingo card that is appropriate for their level. Children can cover a spot on their bingo card when a letter or sound is called. Children can yell “Bingo!” when they cover a line straight across or the entire card. Alphabet Search & Color printable worksheets are perfect for practicing letter identification and locating pictures to color that start with a certain letter sound. They must search for a specific letter (upper and lower case) and pictures, then colouring those in. Children will enjoy searching and colouring in the pictures! There are tons of fun ways to use flashcards to review letters and sounds. 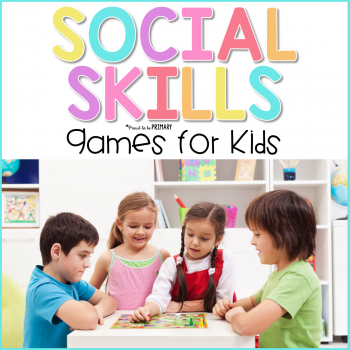 These activities can be played alone or in small groups. These quick activities are great for small groups because they require very little prep and can be played whenever you have a free minute. Memory Match – Turn over the cards you want to practice. Take turns turning over 2 cards at a time looking for a match (upper and lower case letter match or letter and picture pair). 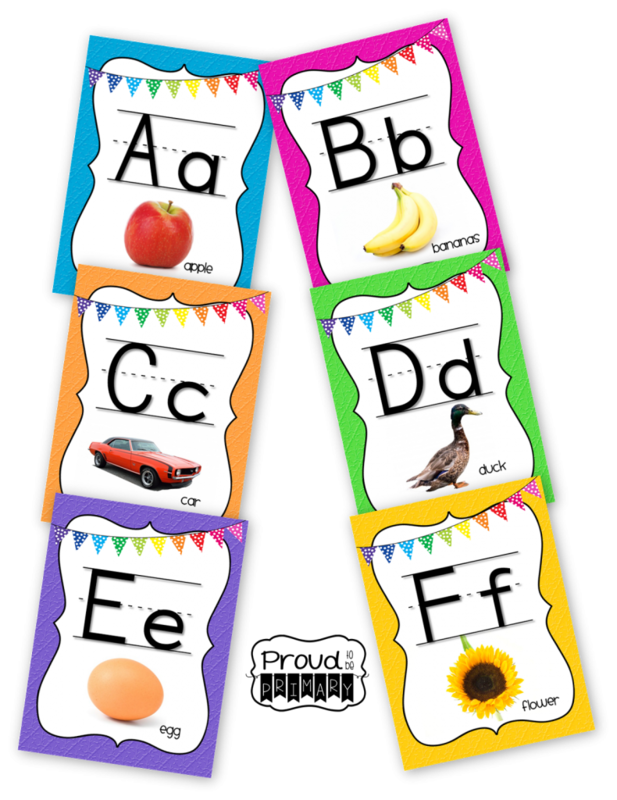 Order Up – Provide one type of card (upper or lower case letters) and place the cards in alphabet order. Drill – Pile the cards upside down and turn them over one at a time and call out what it shows. If playing in groups, flash a card one at a time at two students who race to call out the answer. Name It – Flash a letter card one at a time to students and they can call out something that starts with that letter. Here is a video I took at home with my son (4 years) doing a flash card drill. It is a simple activity that provides a lot of practice! flash card video from Elyse Rycroft on Vimeo. 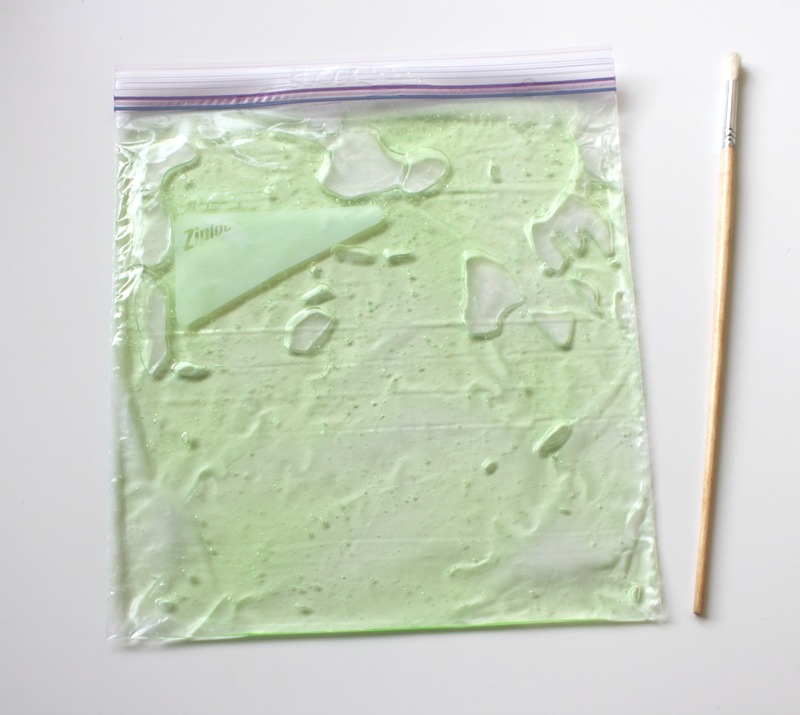 Creating a gel bag is super simple! Grab a Ziplock bag, buy a large bottle of hair gel, and something pointy to use for writing letters. I bought green hair gel but you could buy clear and add food colouring and glitter to it if you want. 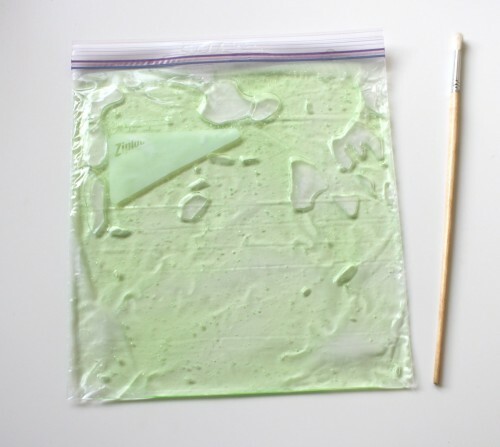 Simply squirt the gel into the bag and seal it tightly. We used the back of a paintbrush because it was readily available. I’ve seen other people use Q-Tips to write with. 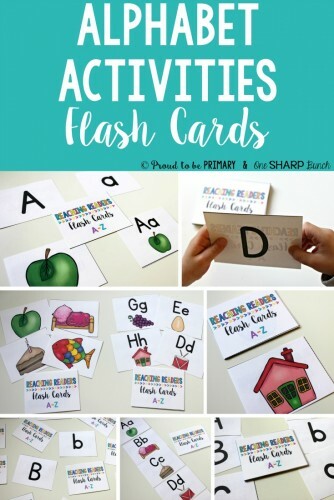 Put out letter flash cards or something to copy for letter formation. 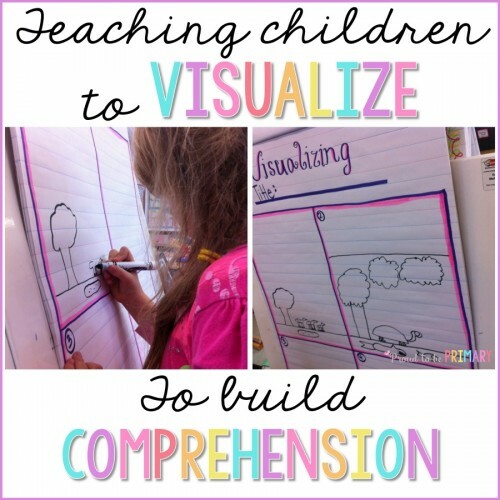 This way your student has a visual example to copy. They will enjoy practicing letter formation this way! I love using videos to help teach important skills. Using YouTube videos is great for our visual learners and those needing to move. Children love to watch and move along with the songs and videos. The alphabet videos below are a few of my personal favourites! The Sesame Street channel on YouTube has this fabulous video from Usher and the gang! What kid doesn’t love Sesame Street? Those lovable puppets and Usher came together to sing a brand new alphabet song that will make your students want to dance and sing along! Having a good selection of alphabet books available in your classroom and for your small groups is important. My favourite alphabet book is “Chicka, Chicka, Boom, Boom” by Bill Martin Jr. Here is a live read of the book by a child that you can show your class. Have Fun Teaching on YouTube has this simple video with a catchy tune that reviews the letter sounds with upper case letters flashing through. 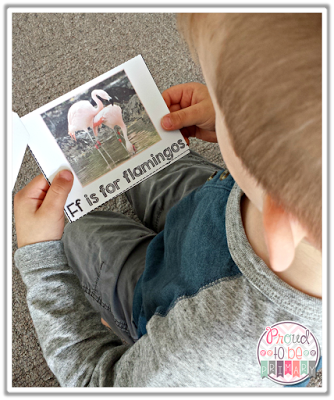 Looking to teach your class some actions to learn the letter sounds? Getting kids moving will help them learn and remember the sounds more easily. This video from Letterland teaches easy to follow letter tricks for each letter. 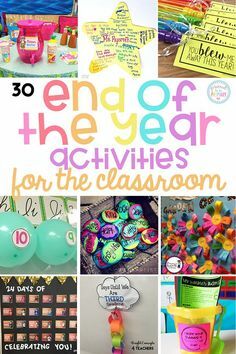 If you’re like me, you often head straight to Pinterest to search for an idea or activity for your classroom! It is a main source for inspiration! 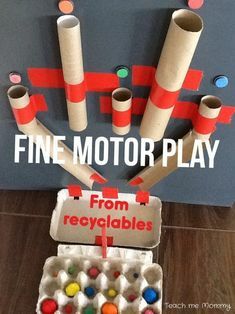 I spend a lot of time pinning and building boards that have activities that teachers would love. My Alphabet and Letter Activities board is no exception. It is jam-packed with tons of great alphabet activities for small groups to help you teach the alphabet! 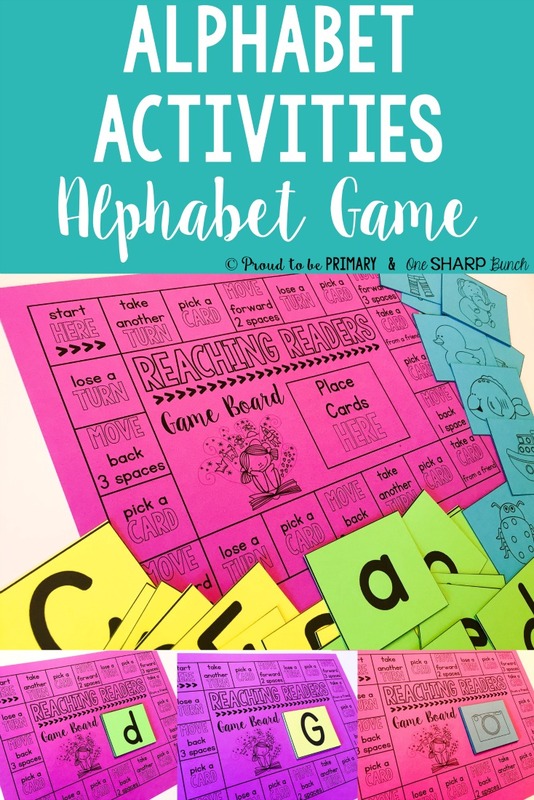 The printable alphabet activities available in this post are part of Reaching Readers Differentiated Alphabet Games Unit 1. To see what these products are all about, read the descriptions and feedback, and take a closer look at the previews, click the images below. 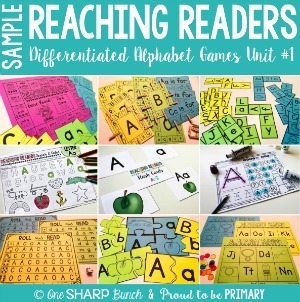 Right now you can grab the Reaching Readers Differentiated Alphabet Games Sample for FREE! It is 38 pages long and you can try out each of the 9 games included in the larger bundle. 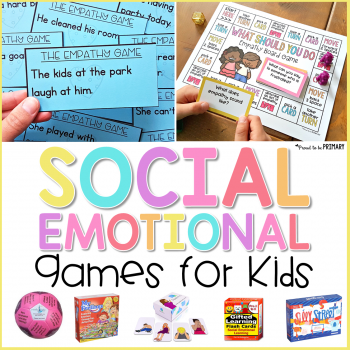 Already convinced that you need these differentiated games for your guided reading small group instruction? Need to take a closer look? Check out the 480 page, 9 game bundle HERE! 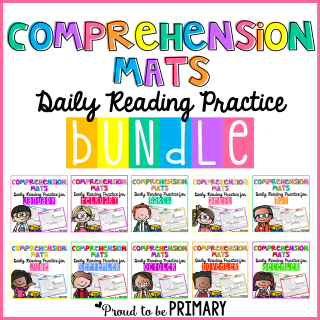 Check out the coordinating alphabet readers to help your students read independently. 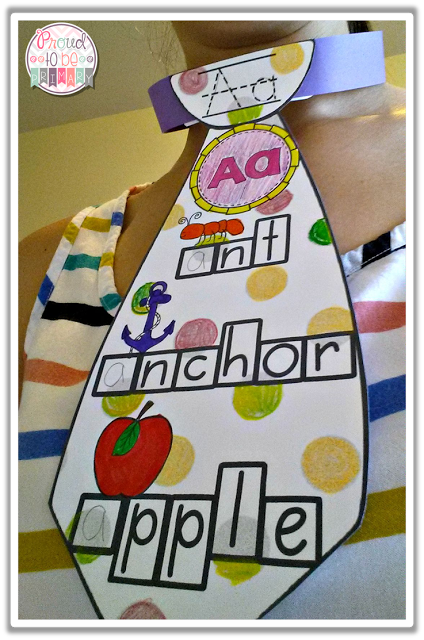 Head to One Sharp Bunch’s blog now to read her great alphabet activity ideas by clicking the image below! 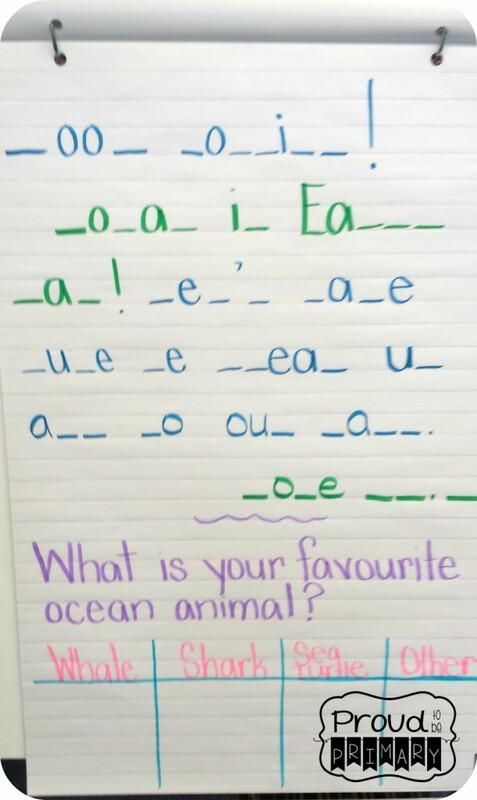 What are your favourite alphabet activities? EVEN MORE Great Ideas for Alphabet Activities! 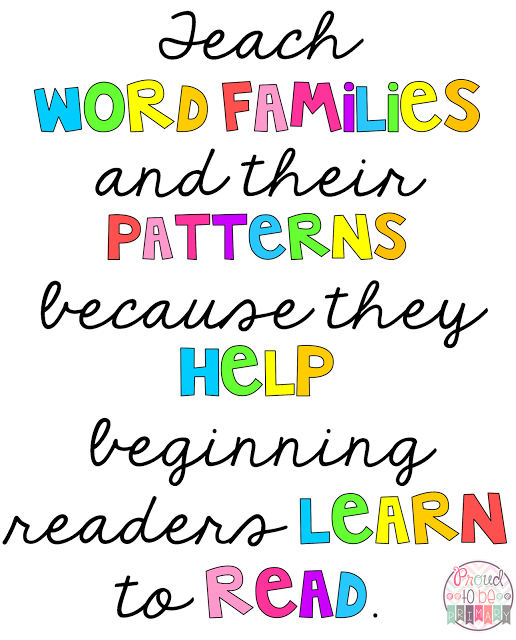 A post about the importance of word families and how to teach reading with word families. 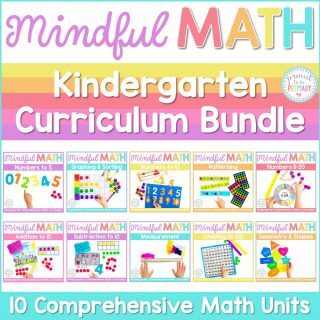 Daily suggestions, ideas, and activities for teachers provided. Today I am sharing about one part of my word study program, how to teach reading with word families. I will be sharing how I run my program during the week and provide you with a day to day plan of action. I have seen a lot of success with this program, Phonics are FUN. My students are fully engaging, actively learning, and building their reading and spelling skills. Learning to read the English language is a difficult task. Our language follows so many different patterns and rules that it is often confusing for our younger students learning to read. Word families, also called phonograms or “chunks”, provide us with groups of words that have a predictable pattern or “chunk”. These words have the same ending and they all rhyme. This makes learning a set of words (a word family) easier on our beginning readers. After learning our word families for the week, my students can read and spell a group of words independently. They feel incredibly successful at their accomplishment. They now have a larger bank of words they can read in the books they are encountering. Teaching my students word families is an incredibly efficient way for me to teach my students how to read. 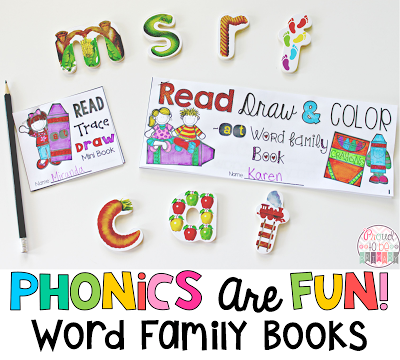 Since we learn word families each week, I wanted to create a set of activities that students find fun and engaging, yet help them to become fluent with reading the words within a word family. Each week we focus on two word families at a time. 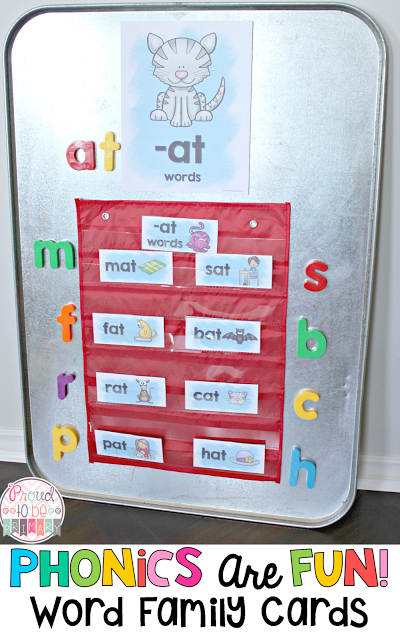 I start with teaching the short vowel word families and start with the short ‘a’ word families. The words within those word families often follow a CVC or CVCC pattern. They are simple words that children often know and understand. I introduce our word families one at a time and as a class we brainstorm all the words we can think of that end with that sound pattern. Then, I encourage my students to use our alphabet posters above our white board as a reference. I will say “take each letter one at a time and put it in front of the letter pattern. Does it make a word that makes sense?” If it makes sense, I ask them to put up their hand and share with the class. I record the words they come up with on our word chart. We discuss the meaning of each word. Some weeks I like to switch things up and I will have my students line up and rotate one at a time or in pairs to write down a word that they have come up with. I will sit close by and help if needed. After we have our list of new words on our chart, my students will copy those words in their word family books. They are practicing their handwriting skills and rereading their new words at this time. I send our word family book home on Monday for families to practice at home all week. Each morning during our carpet time, we review our word family words. I use a pocket chart to hold our word family word cards. Our star of the day enjoys pointing to the words as the class reads them aloud. We also play phonics games to review our words and build our reading skills. I have these activities ready during my small groups and available for students to use during free time or “fast finisher” activities. We enjoy making puzzles where you have to match a word with a picture. We use our letter magnets or whiteboard markers to spell out our words. This makes a great literacy center! I use metal drip pans for everything. They are so versatile and functional. They store easy and sit nicely on a shelf or against a wall. Check them out HERE! 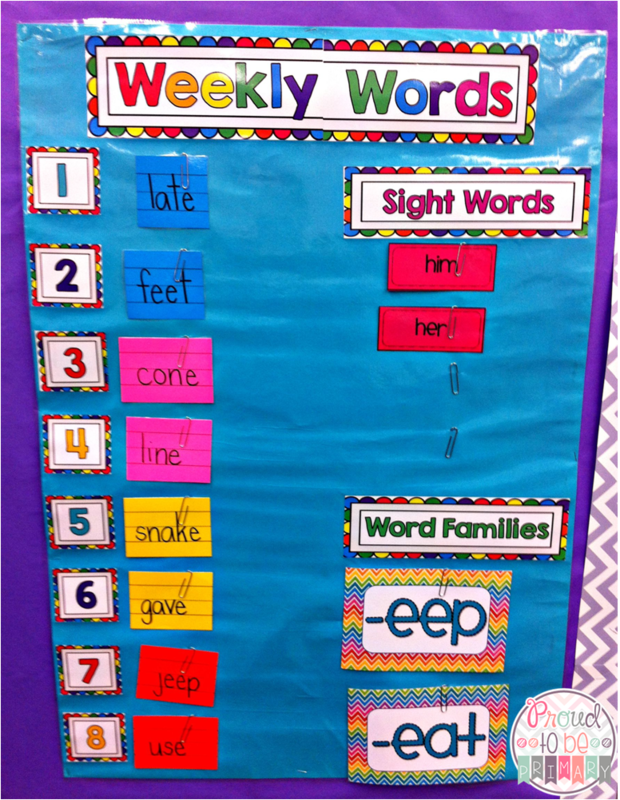 I also put up a poster of word family words in the classroom for students to practice reading during the week. They can use this poster if they need ideas during our making words activities. We review our words again during morning meeting. I have the students close their eyes and spell words together or one by one aloud. We complete morning messages that have word family words missing. I switch up the activities we do together at the carpet to keep things fresh so they are thinking in different ways. We work on our reading fluency. Together, we print, build, make, spin, stamp, and draw our words. We do things where we are reading these words over and over. My students enjoy these activities because they stay busy and have fun too! We spin to make word family words using a paper clip and record them in our booklets. We complete our word work with our word family words. By repeating each word in different ways, my students are learning how to read, spell, and understand word meaning. During our morning meeting, we take out our small whiteboards and markers and practice recording our words. Sometimes they sit with a partner and quiz each other and sometimes I will give them words to record. This is a quick assessment for me to check how they are doing. This could also be a part of your small group time.We work more on word meaning. We have a few activities that we rotate through each week to keep things interesting. For instance, we complete our fill-in sheets for morning work where we have to pick the correct word to fit in an empty space. We also create read, draw, and color books where we have to read a sentence, dray its meaning, and color the picture. They also have read and write the room mini-books to work on during literacy centers. On Friday, we do one final review of our words in the pocket chart before adding them to our word wall. We also have a spelling quiz where I give my students a mix of our spelling words, sight words, and word family words together. They do an excellent job after all this review! I also have a few simple and fun activities set up for small groups, literacy centers, and “fast finishers” for students to complete for extra review. They love to “create” words using Play-Doh and recording the words they find. Making their own word family ties to wear around the class is fun too. They bring these home to show their parents their learning. 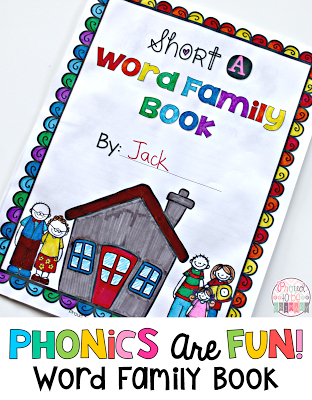 After printing the word family words in their books, they take them home in their home reading folder. 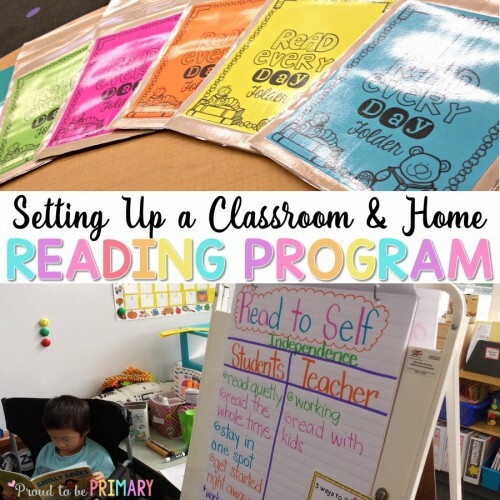 Read about how I set up my home reading program and grab some FREE folder handouts HERE. Once at home, I instruct my students and their parents that they should be reading through their words each day. 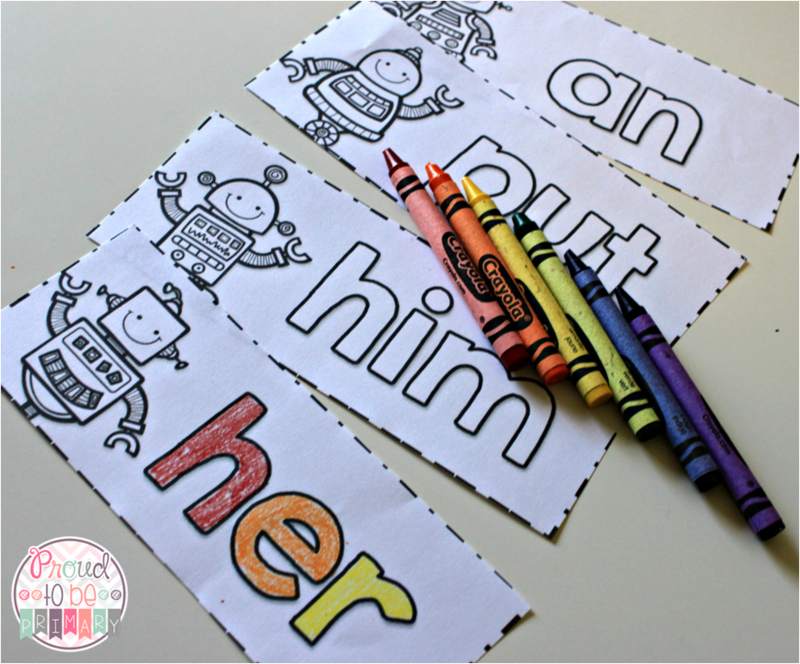 They can make them, spell them on a sheet of paper, or any activity they want. Occasionally, I will send an activity home if they are looking for something extra. 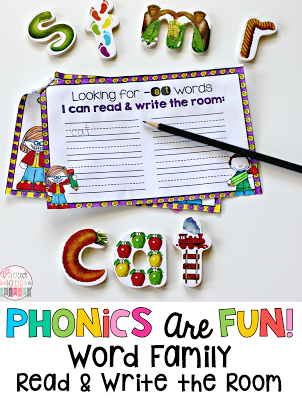 You can check out all of the materials and activities you’ve seen in this post, in my Phonics are Fun comprehensive word family units for short vowels HERE. There’s a bundle available too! Need more ideas on ways to teach reading and phonics? Check out this Pinterest board full of awesome ideas! Wanting to grab some of the great learning resources that I used in this post? 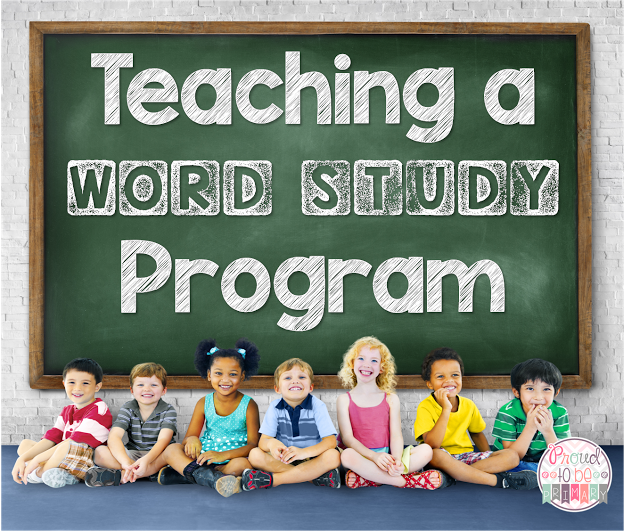 To read more about how I run my word study program, visit my post HERE. 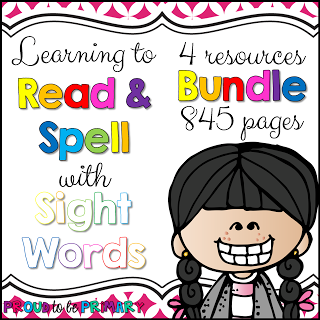 I have a complete curriculum to help your students learn their sight words. You can grab 1 week of the program for FREE. Check it out HERE! 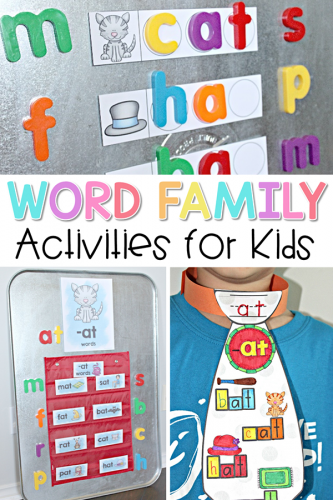 Word Families Activities PLUS MORE you Might Like! 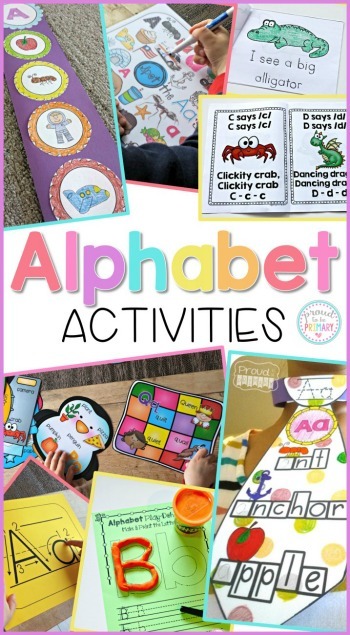 Many helpful activities for teaching the alphabet the fun way. These hands-on activities help to engage the youngest preK, Preschool, and Kinder learners. I have been teaching the alphabet to my son at home. His name is Jackson and he is 3 1/2. He is busy and loves to learn new things, but he is a little boy with not a very long attention span. I knew that in order to get him to learn the letters, sounds, etc. I needed to design activities that would be FUN and ENGAGING! He is also still quite young so I knew these activities had to also be QUICK and EASY for him! 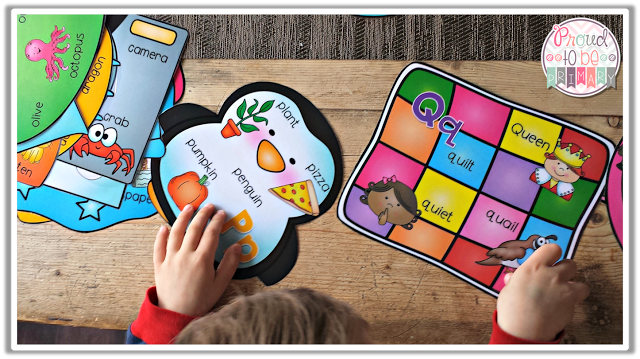 I created a series of products to help little ones, like my son, that are developing their phonemic awareness. 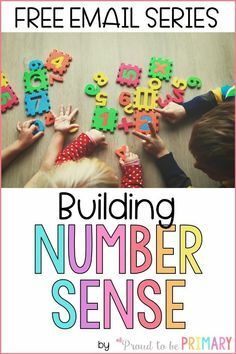 These activities help younger children learn to identify letters, form letters, and identify things that start with different letter sounds. 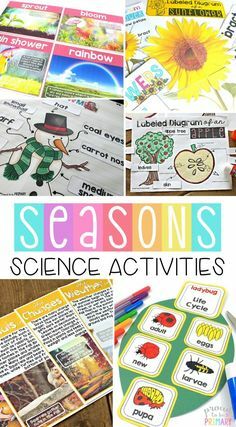 These activities are great for homeschooling, preschool, or for early learners in the classroom. Each activity can be used in many ways. 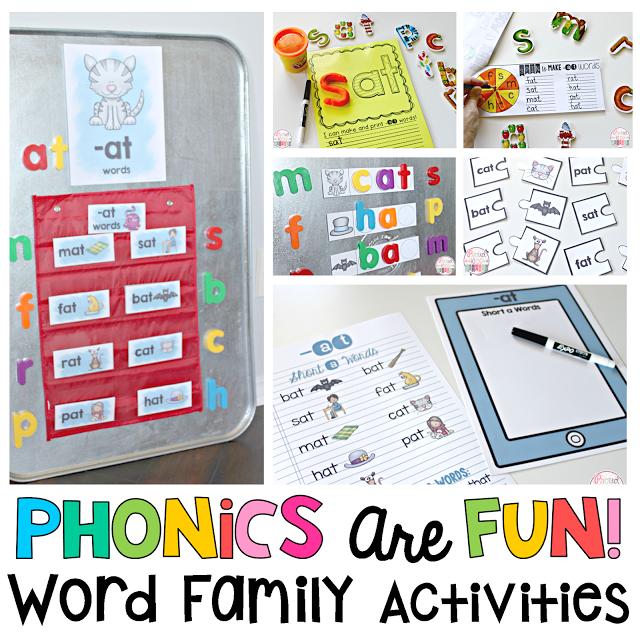 They work well for literacy centers, morning work, fast finisher activities, and much more! One of J’s favorite activities are the Spot the Letter Mats. He was immediately drawn to the bright colors and all of the pictures of things he knows. When I introduced these mats, he could identify most of his letters, so the plan was to use these to help him build his phonemic awareness. I made sure to laminate each mats before and I gave him a choice of using a white board marker to circle things he found that started with a particular letter or to simply point to pictures on a mat. Each mat features lots of things that start with each letter, including that letter in upper and lower case form. There are many clip art images, as well as some real photographs. 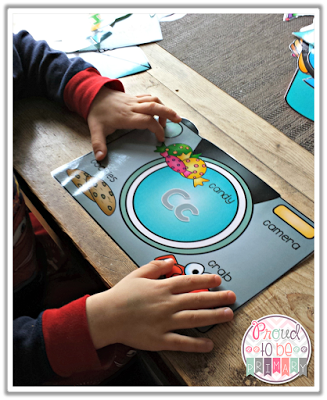 I love hearing him say “C says ccc” as he scans a mat and then, “Ccc Crab! Ccc Cake!” for each letter. He is learning and having fun too! 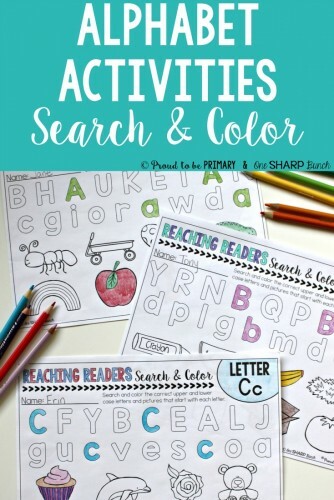 Another fun activity that is super quick and easy, yet fun and made J feel super successful, are the Letter Search Pages. He loves using Do-a-Dot markers (Bingo dabbers work great too!) to dot all the upper and lower case letters he sees of a given letter. Since using this activity, J can now identify letters (written in different fonts) wherever he goes. He’ll say “mommy, look a ‘B’!” at a sign in a restaurant, for example. 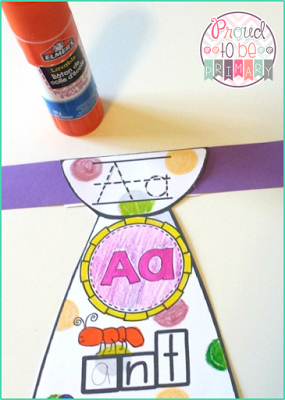 J loves making crafts and Alphabet Strip Crafts are a perfect way to make a craft and learn at the same time. He is a little reluctant to color and has not yet learned how to cut, so we make these crafts together, while I gently and slowly help him learn many new skills (cutting, gluing, coloring, identifying pictures, etc.). 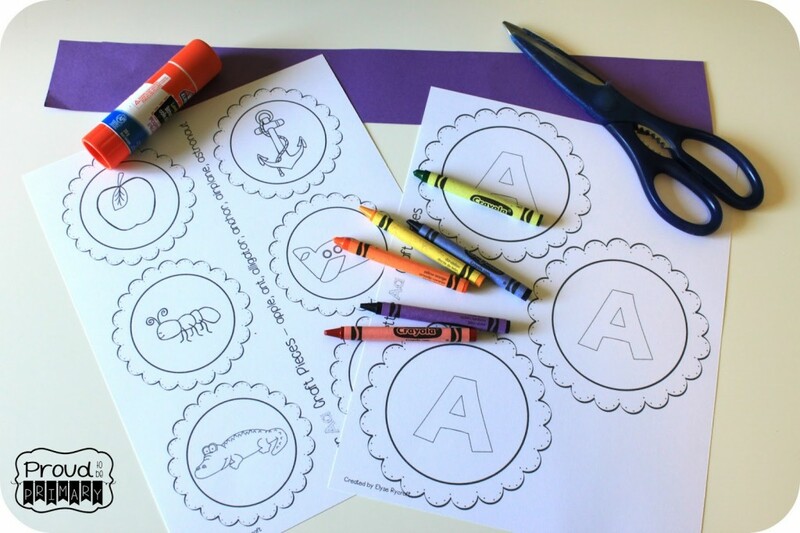 With these crafts, your students can color pictures that start with a letter, cut out the pictures (we cut in a circle to make it easier) they’ve colored, and glue them down. I suggest using a long strip of construction paper with the letter at the top. For variation, have students sound out and spell the pictures. One of my favorites and J’s as well are the Alphabet Letter Posters. Each poster is a large image of something that starts with that letter. For example, for ‘C’ the poster is a camera with 3 ‘C’ pictures on it (candy, cookies, crab). J loves having any kind of races with me. He loves racing to name the letter too. Whoever guesses the letter first gets the poster in his or her pile. Let’s just say I pretend to forget the letter, unless he forgets. There are tons of ways to use the letter posters. Use the posters on your wall to create a display that students can refer to all year long. I hang the posters on a wall and encourage my students to refer to them when thinking of words that begin with each letter (for our printing books, etc.). 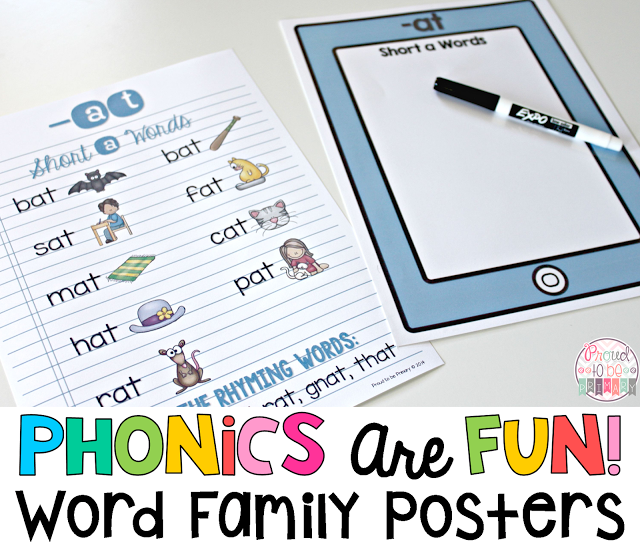 In order to help J learn to identify his letters quickly, I turned to using Alphabet Photograph Posters. I love that each poster displays the letters big and bold and that each poster features a real image of something starting with that letter (bananas for the letter ‘B’). 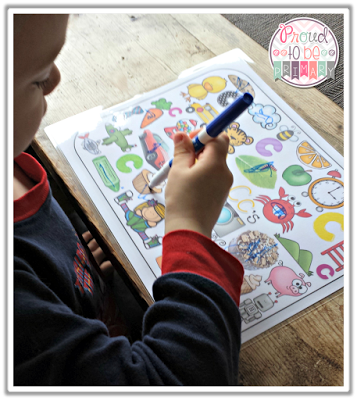 He liked using these posters to play name the letter again. He could make connections easily with these posters because they displayed real objects that he knew next to the letters. J loves books and I wanted to create books simple, patterned books that he could read. These Alphabet Non-Fiction Books have 4 real images of things that start with a given letter (objects, animals, and more). While reading these mini-books, J is developing his phonemic awareness and understanding of things in the world that start with each letter. After learning the pattern and knowing the letters and pictures, he is able to “read” the books! J got excited when I pulled these puzzles out to try. Alphabet Letter Puzzles are a big hit! I chose 4 letter puzzles at a time and would mix the pieces up and put them out for J to put together. He started with finding the 2 letter pieces (upper and lower case). Next, we practiced the sound together. Then, J looked for 2 pictures that made the same sound. Once he found all 4 pieces, he put the pieces together. I created the Alphabet Letter Ties with my son in mind. That’s because I knew he would have fun creating these ties and then wearing them around the house. I wasn’t wrong. He loves them! He is learning and reviewing different things that start with each letter. We work together to make these. I do the cutting and gluing, and I help him with the coloring and tracing/writing of each letter. To create these, I suggest printing them out on card stock for durability. I used strips of construction paper for the wrap-around neck part (Full instructions are included in the pack). 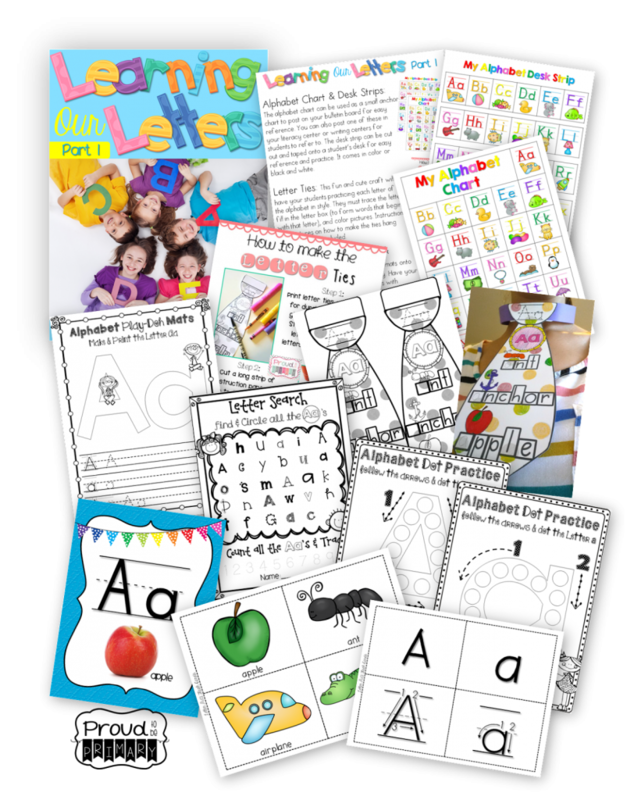 All the activities above, plus more are available in my Learning Our Letters MEGA BUNDLE of alphabet products HERE for a special VALUE price. The activities are also available in smaller, specific packs HERE (seen below). 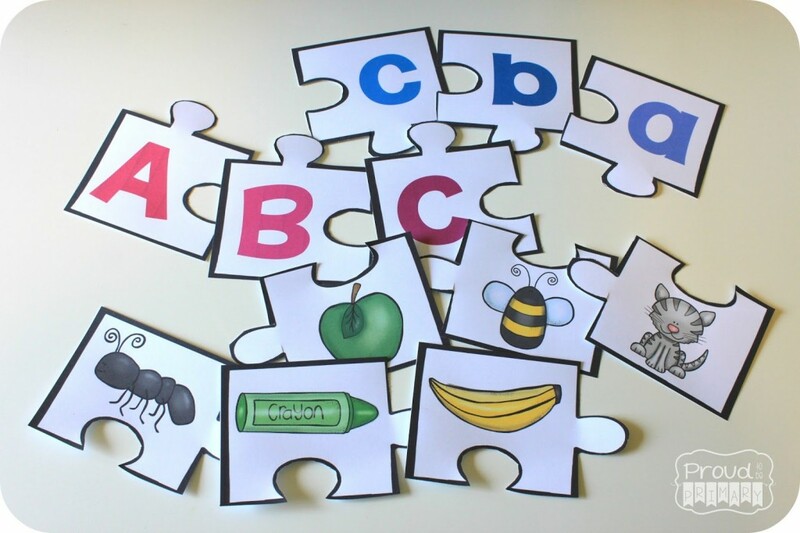 Interested in a FREE printable resource for teaching the alphabet? 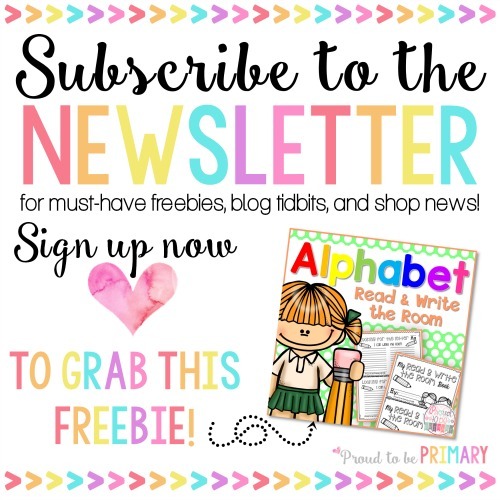 Sign up for Proud to be Primary’s newsletter to receive an Alphabet Read & Write the Room mini-book sent straight to your inbox. You can grab the materials used in this post on Amazon below! Looking for more ways to teach your children the alphabet? 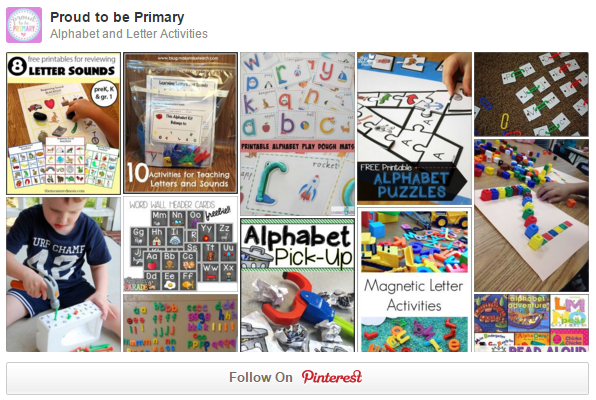 Check out this Pinterest board filled with fun ideas and activities for little learners! Hope you have seen something that suits your needs and those that you teach. 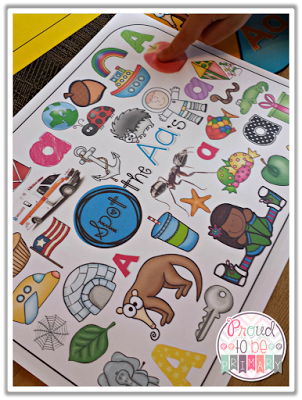 MORE Resources for Teaching the Alphabet! In my first grade classroom, I’ve used a combination of strategies, programs, and activities throughout the year to teach my students phonics, words, and spelling in order to learn to read and write. Most years, I usually teach a grade 1/2 combined class so that means a lot of differentiation is needed to meet the needs of all my learners. 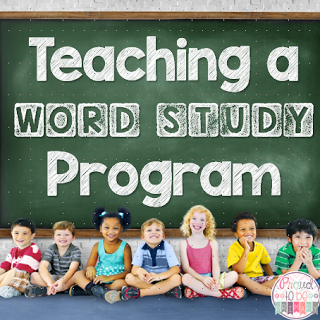 This post will explain how I go about teaching a word study program. I am a firm believer of a balanced literacy approach where I adapt my instruction everyday to meet the needs of my learners in order for them to develop reading and writing skills. That being said, my program is not completely phonics based. 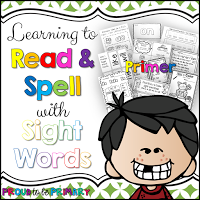 I incorporate a balance of phonics (word families, vowels) , sight word instruction, as well as spelling and word study. I will explain a few of the key components to my program today. 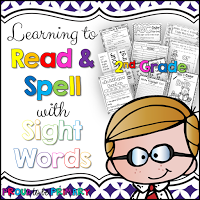 I am a firm believer of a language arts program that teaches and reviews sight words. 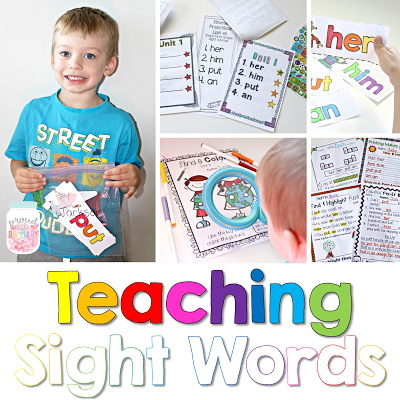 Sight words are those words that have a high frequency presence in printed materials that children read. As children build their sight word recognition, they are able to read more books. 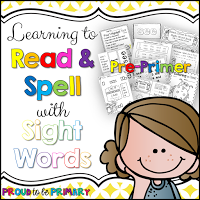 I have seen how beneficial it is to my early readers once they have learned new sight words. Their confidence goes way up, they enjoy reading books, and they feel successful! Why are WORD FAMILIES important? Word families are chunks or patterns within words that rhyme. They provide predictable patterns to help emergent readers understand our language. Once students understand the 37 most common word families in English, they are able to decode 500 words! 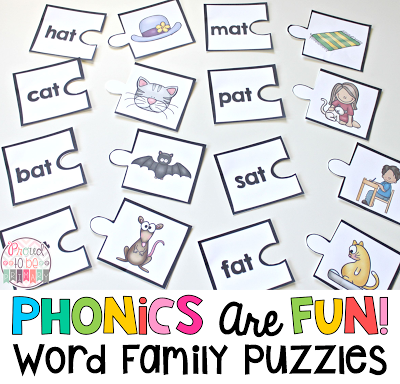 I teach the patterns in word families throughout the year because they help my students develop their decoding and ability to sound out words. 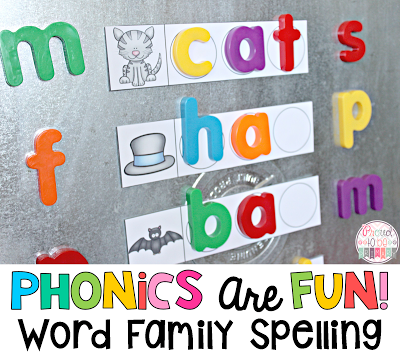 Once they learn those word families, they are able to decode so many words quickly. This puts them well on their way to reading and decoding success! Why is a SPELLING program important? I use a spelling program in my classroom so every student has a list of words to learn and practice at home. 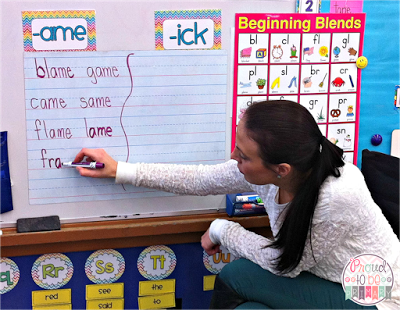 My spelling program is mostly phonics based and each unit I teach reviews the short and long vowels, digraphs and diphthongs, blends, and more. Here is the chart I use in my classroom to keep things organized. 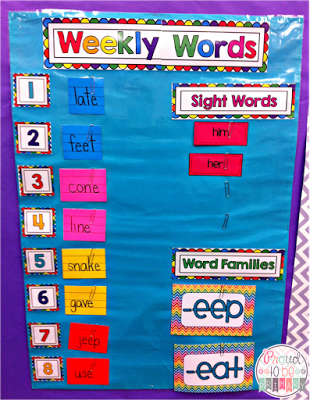 It has my spelling words, sight words, and word families for the week all in one place. I use each week to review the phonetic concept that is present in that spelling unit. My students develop not only the ability to spell words, but read and understand a new phonetic pattern or rule.They can then use those skills to read new material and write independently. 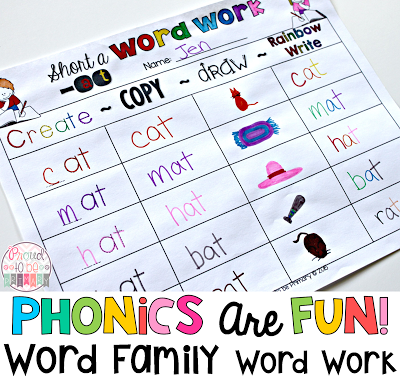 Word study and phonics lessons and activities occur frequently during our week. I usually have a designated time of the week to work on spelling, sight words, and word families.This coming year I plan on incorporating the Daily 5 system of word work, where my students will be working on something everyday. 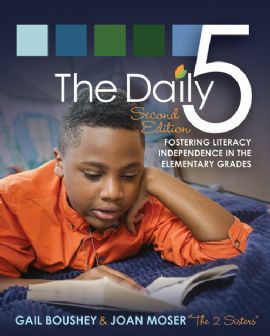 With the Daily 5 system you need to organize your literacy blocks throughout the day, instead of the whole class working on the same activities at the same time. During this time, I pull small groups to work on word study concepts, while my students are completing their word work activities. Morning meetings are a very important part of every day in my classroom. I use morning meetings to review and introduce new word study concepts. 1. Introduce or review spelling words for the week. I have the words posted in a chart and we review these words in different ways each day. 2. Complete our morning message. I change the type of message every day. I write them related to what we are doing during the day or our current themes. Sometimes I leave words out, letters out, or vowels or consonants out for students to figure out and fill in as a class. Here is an example of a morning message where I have left out consonants for students to figure out and fill in. 3. 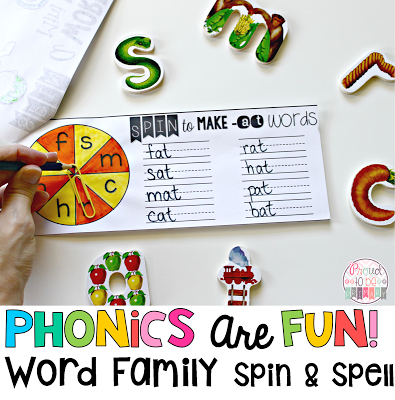 Work with word families and practice phonics skills. We complete different activities each day to mix things up and reach all learners and styles. Some of the activities I like us to do together is brainstorm words that rhyme, fill-in sentences with words missing, and come up with sentences using the short or long vowel pattern we are practicing that week. 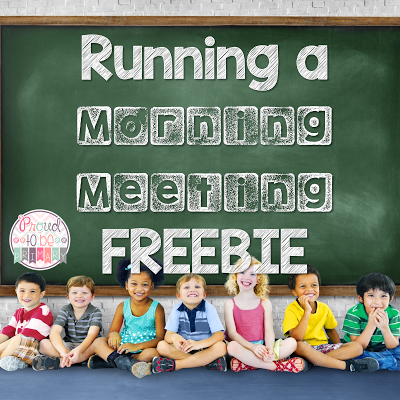 If you are interested in a copy of my morning meeting schedule for the week to use for teaching a word study program, click HERE to download! 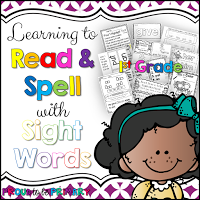 I have created a sight word program called Learning to Read & Spell with Sight Words. I have created a resource to use when teaching each of the Dolch words lists: Pre-Primer, Primer, First Grade, and Second Grade. 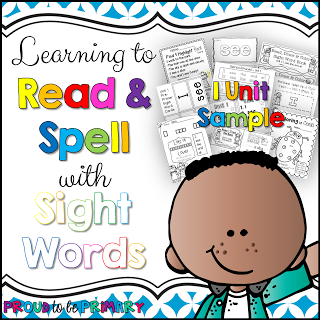 You can see how I run my sight word program using this program HERE. I have used this complete curriculum in my classroom with great success. It has allowed me to differentiate for all my learners in a kindergarten, first, and second grade combined classrooms. It is sequential and we are able to continue at the end of one list (pack) and move on to the next list (pack) and materials after. The activities are the same, with a few variations and levels of difficulty. 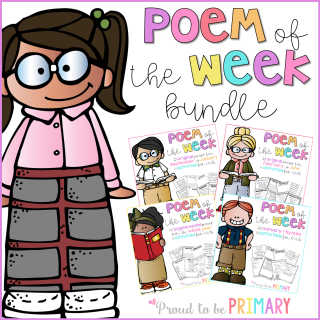 If you are thinking of purchasing the curriculum and want to see a sample, you can grab this FREE unit HERE which includes a week’s worth of materials and activities for your classroom. 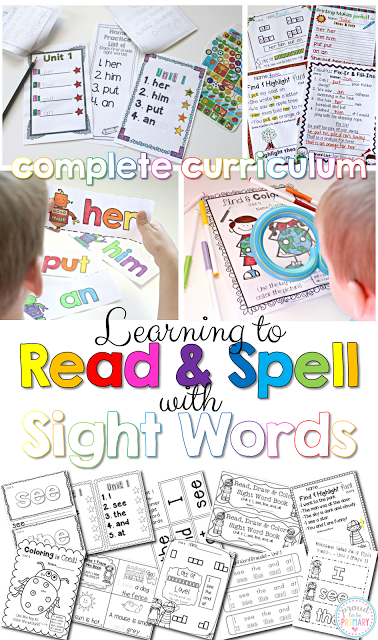 To see the Learning to Read & Spell with Sight Words curriculum, click HERE. 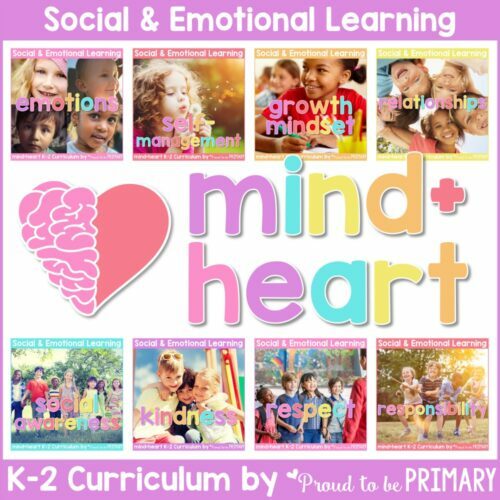 Grab the complete curriculum in a giant BUNDLE HERE. 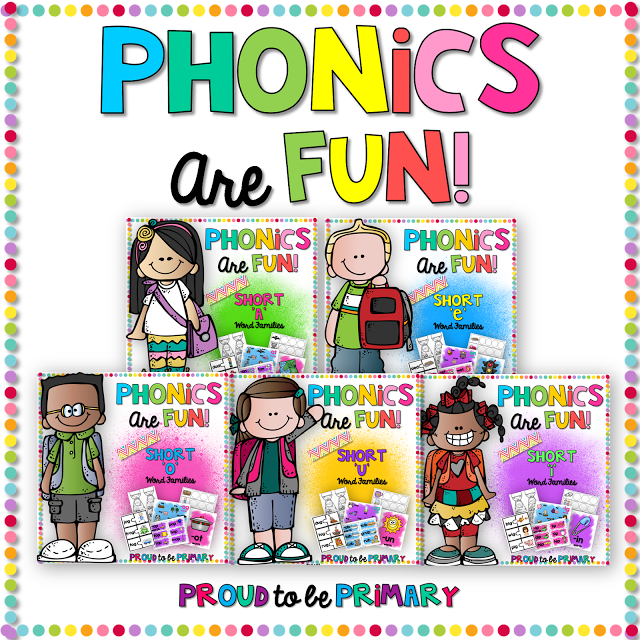 To teach phonics and rhyming word families, I have created a phonics program called Phonics are Fun. I have created a resource to use when teaching each of the short vowels. Check out how I teach word families using this program HERE. 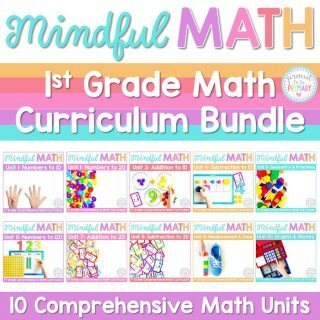 I am excited to use this curriculum because it is comprehensive and I have all the materials I need in one place. I am able to differentiate for all my learners and have multiple activities at different times of the day. To see the Phonics are Fun short vowel units, click the image below. 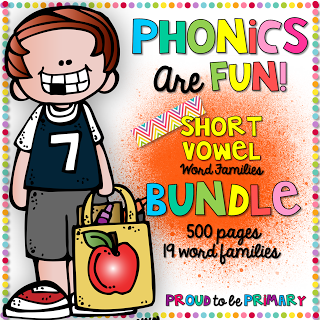 Grab the Phonics are Fun BUNDLE featuring 5 short vowel packs with materials to teach 19 word families at a discount. 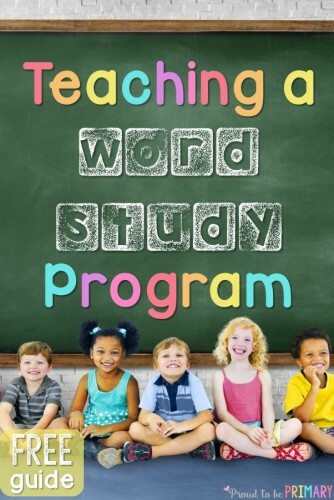 What are the key components of your word study program? 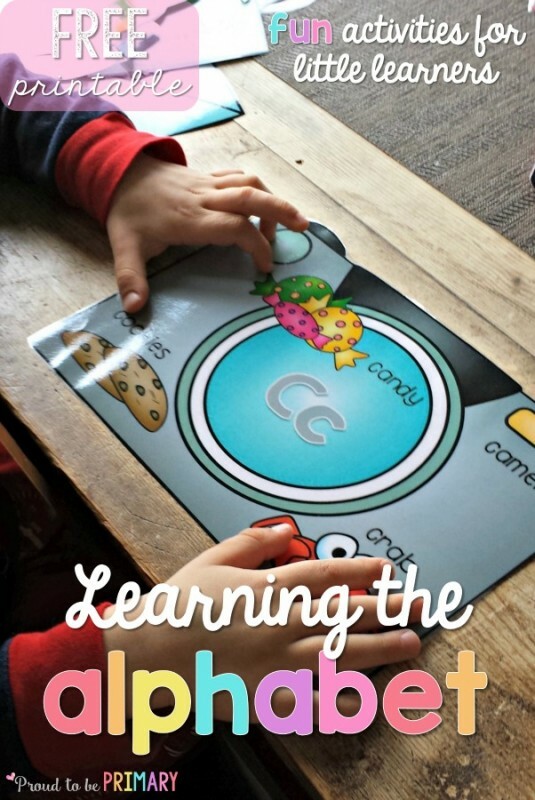 I’m excited to introduce my new products to you today… Learning Our Letters Part #1 and 2.Learning Our Letters Part #1 has over 200 pages full of alphabet/letter activities to teach children about identifying and forming the letters of the alphabet and learning what starts with each letter. 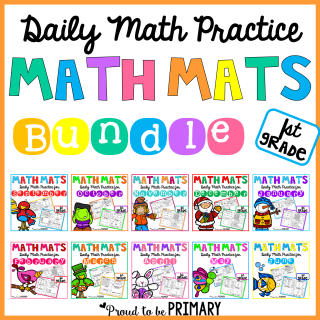 Click HERE to visit the product page and take a look at the PREVIEW for instructions and examples of the activities and materials provided in this pack. 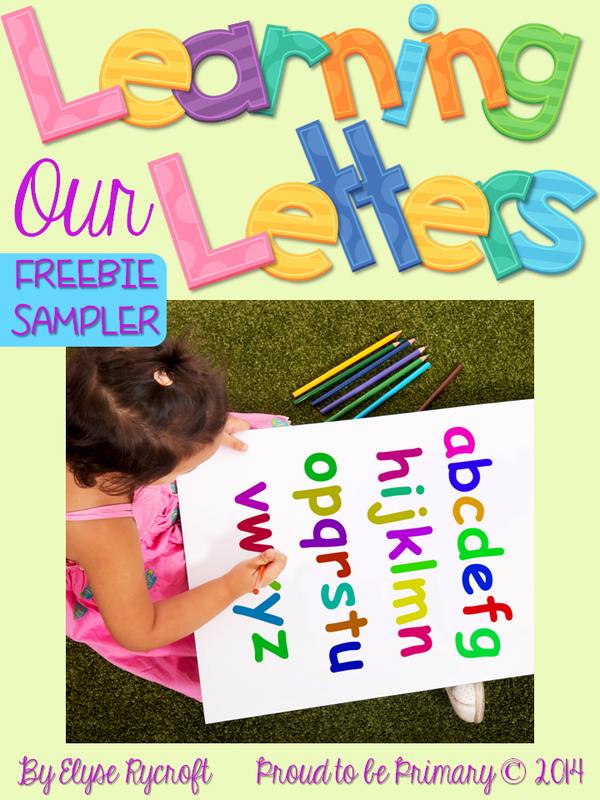 This is perfect for PreK and Kindergarten students learning their letters, but could also be used by parents of young children or for homeschooling of young children. 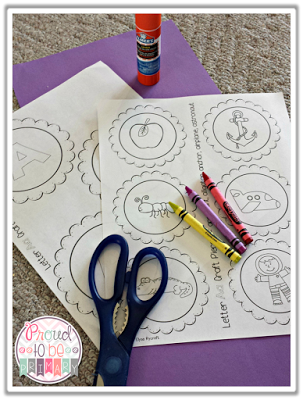 *ALPHABET PLAY-DOH MATS & PRINTING PRACTICE CARDS. Form each letter using Play-Doh and then practice printing the letters. *ALPHABET DOT TO DOT PRACTICE. 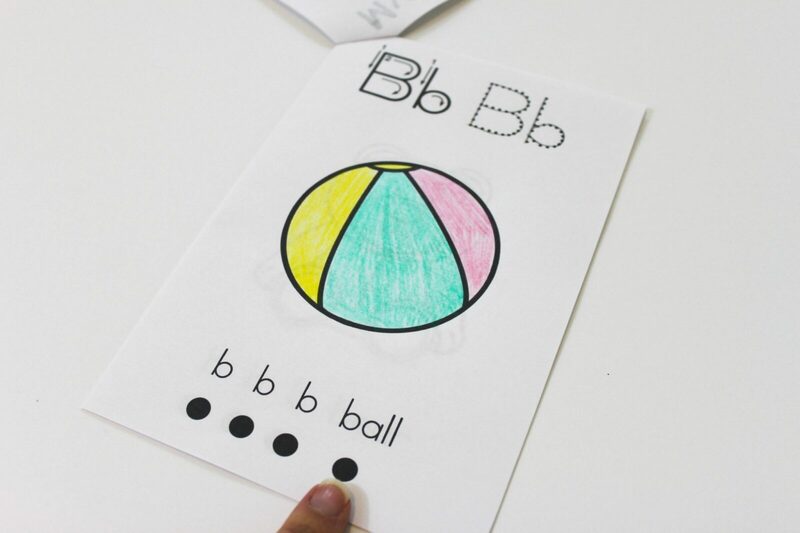 Practice forming upper and lower case letters correctly using dot markers or bingo dabbers. *LETTER SEARCH & COUNT SHEETS. Search for all the upper and lower case letters. Then count how many letters have been found. *REAL PHOTO ALPHABET POSTER SET. Hang bright and colorful alphabet posters that feature real life photograph to match each letter. *FLASH CARDS. 8 flashcards are included for each letter. 4 pictures of things that start with that letter and 4 letter cards to help with printing and games. Learning Our Letters Part #2 has almost 200 pages full of alphabet/letter activities to build upon a child’s knowledge of the letters of the alphabet, learning what starts with each letter, and building their phonemic awareness. 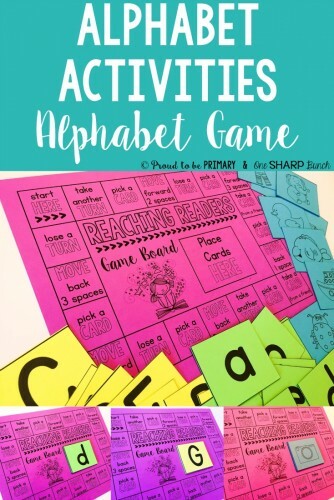 This is perfect for PreK, Kindergarten, and First Grade (as review) students learning their letters, but could also be used by parents of young children or for homeschooling of young children. *FIND, COLOR, & COUNT SHEETS. 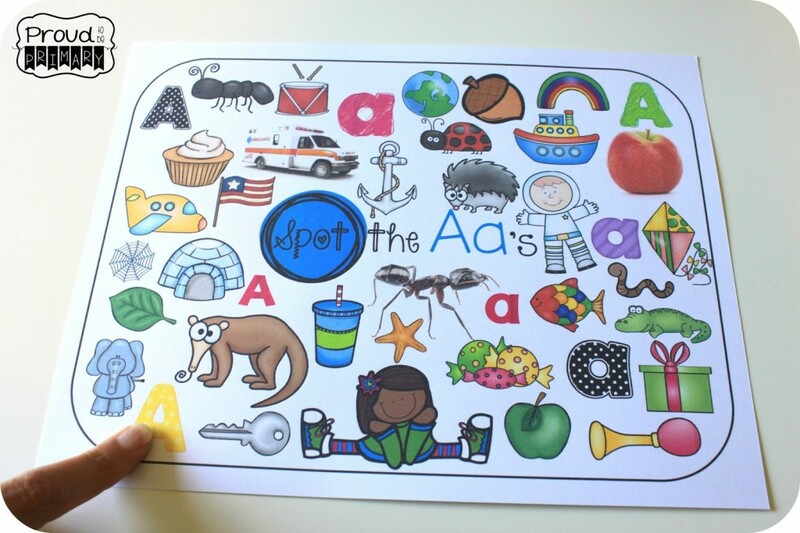 Students will find and color the pictures that begin with each letter and then count how many. *LETTER CRAFTS. 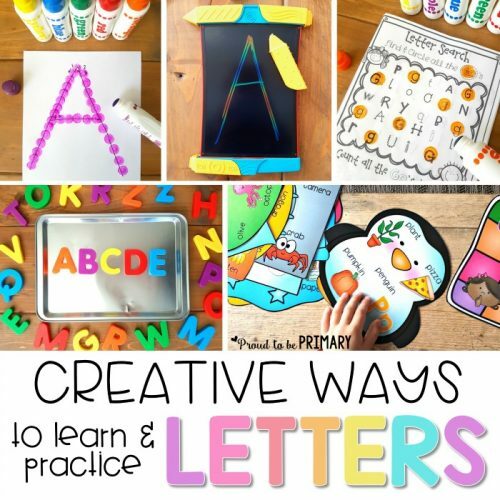 Pieces are included to create a craft for each letter. Color and cut out pictures that start with each letter and put them together on a paper strip. *SPOT THE LETTER MATS. 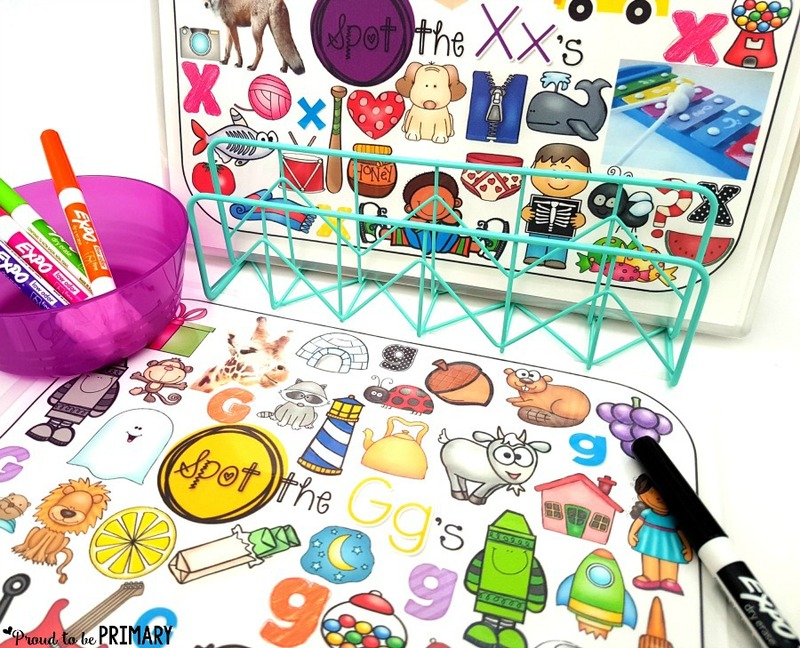 Your students will love these search and fin mats where they must find as many things that begin with each letter as possible. 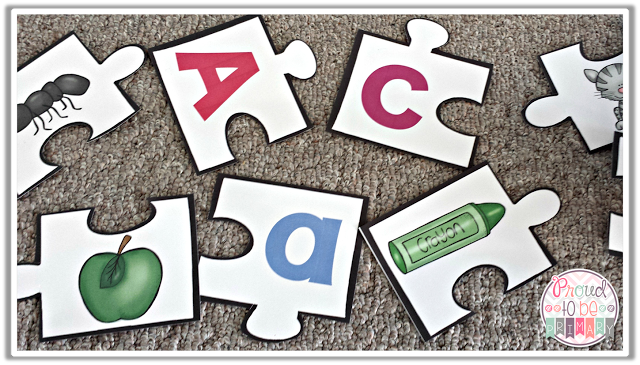 *LETTER & PICTURE PUZZLES. Put together a puzzles for each letter of the alphabet. Includes both color and black and white options. *NON-FICTION ALPHABET BOOK WITH REAL PHOTOGRAPHS. 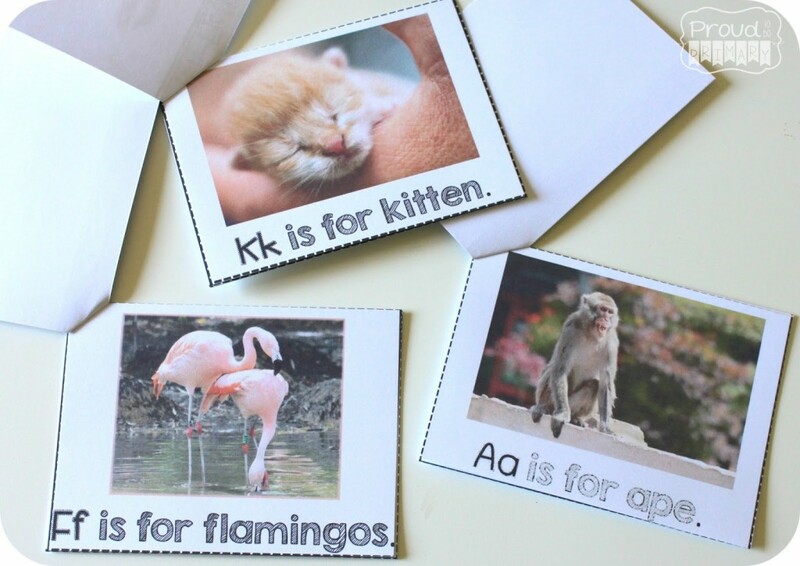 Assemble a mini book for each letter of the alphabet. These mini books include 4 real life photographs of things starting with each letter. Today, I’m sharing a FREEBIE sampler from Parts #1 & 2 for your use. I would love to hear from you! tell me what you teach and how you would use these products with your students or your children?